Copyright © 2013 Takashi Yanagisawa et al. This is an open access article distributed under the Creative Commons Attribution License, which permits unrestricted use, distribution, and reproduction in any medium, provided the original work is properly cited. We present recent theoretical results on superconductivity in correlated-electron systems, especially in the twodimensional Hubbard model and the three-band d-p model. The mechanism of superconductivity in high-temperature superconductors has been extensively studied on the basis of various electronic models and also electron-phonon models. In this study, we investigate the properties of superconductivity in correlated-electron systems by using numerical methods such as the variational Monte Carlo method and the quantum Monte Carlo method. The Hubbard model is one of basic models for strongly correlated electron systems, and is regarded as the model of cuprate high temperature superconductors. The d-p model is more realistic model for cuprates. The superconducting condensation energy obtained by adopting the Gutzwiller ansatz is in reasonable agreement with the condensation energy estimated for YBa2Cu3O7. We show the phase diagram of the ground state using this method. We have further investigated the stability of striped and checkerboard states in the under-doped region. Holes doped in a half-filled square lattice lead to an incommensurate spin and charge density wave. 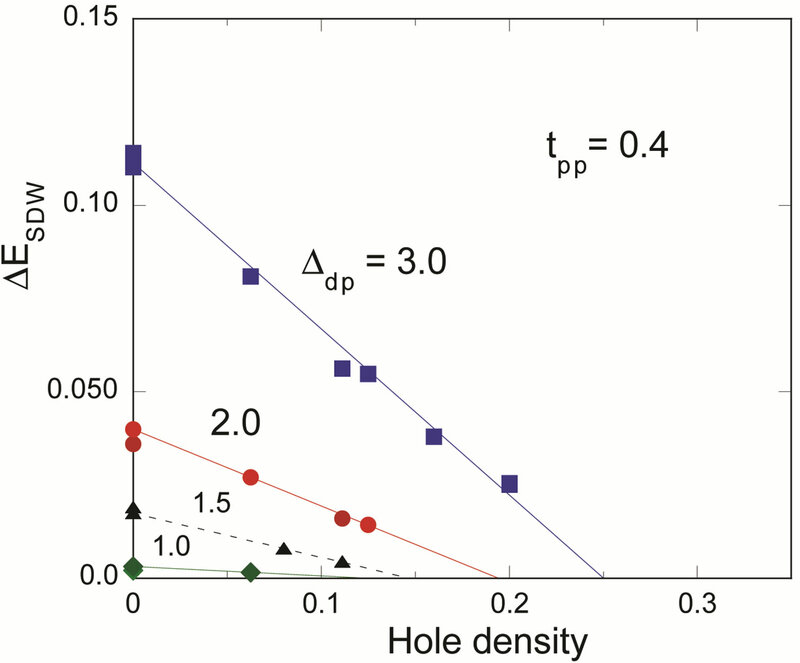 The relationship of the hole density and incommensurability , , is satisfied in the lower doping region, as indicated by the variational Monte Carlo calculations for the two-dimensional Hubbard model. A checkerboard-like charge-density modulation with a roughly period has also been observed by scanning tunneling microscopy experiments in Bi2212 and Na-CCOC compounds. We have performed a variational Monte Carlo simulation on a two-dimensional - - - Hubbard model with a Bi-2212 type band structure and found that the period checkerboard spin modulation, that is characterized by multi Q vectors, is indeed stabilized. We have further performed an investigation by using a quantum Monte Carlo method, which is a numerical method that can be used to simulate the behavior of correlated electron systems. 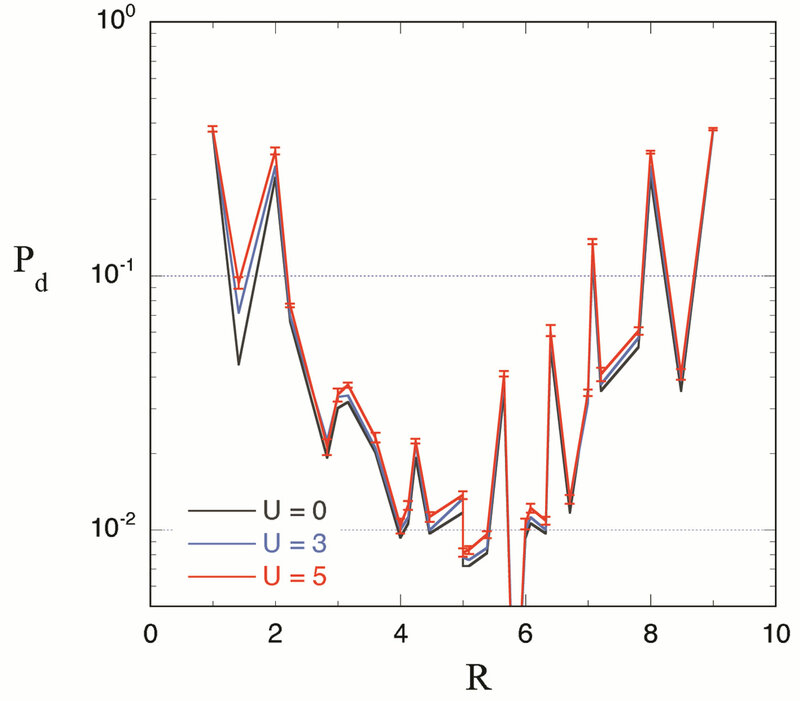 We present a new algorithm of the quantum Monte Carlo diagonalization that is a method for the evaluation of expectation value without the negative sign problem. 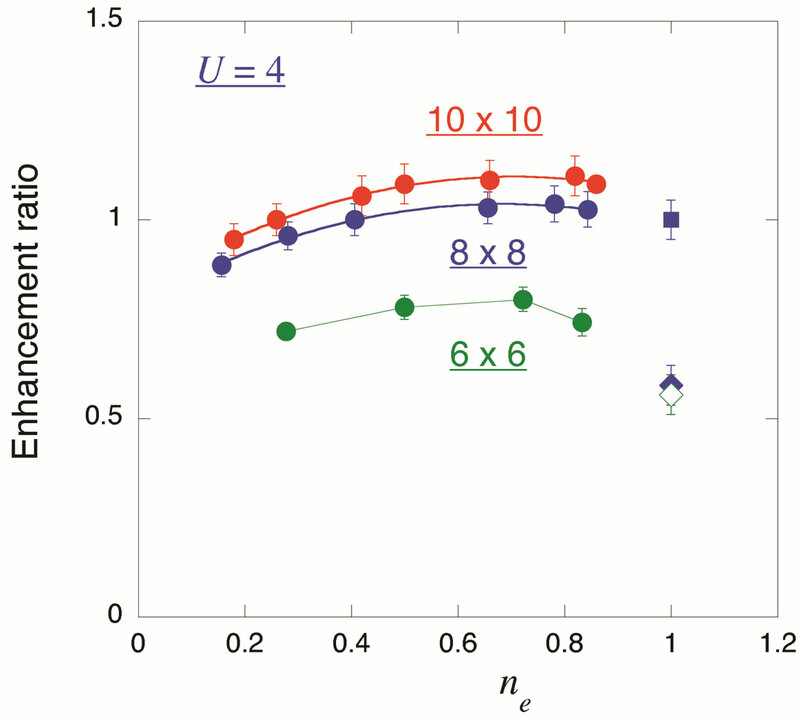 We compute pair correlation functions and show that pair correlation is indeed enhanced with hole doping. The effect of the strong correlation between electrons is important for many quantum critical phenomena, such as unconventional superconductivity (SC) and the metalinsulator transition. Typical correlated electron systems are high-temperature superconductors [1-5], heavy fermions [6-9] and organic conductors . The phase diagram for the typical high-Tc cuprates is shown in Figure 1 . It has a characteristics that the region of antiferromagnetic order exists at low carrier concentrations and the superconducting phase is adjacent to the antiferromagnetism. In the low-carrier region shown in Figure 2, there is the anomalous metallic region where the susceptibility and show a peak above Tc suggesting an existence of the pseudogap. To clarify an origin of the anomalous metallic behaviors is also a subject attracting many physicists as a challenging problem. Figure 1. 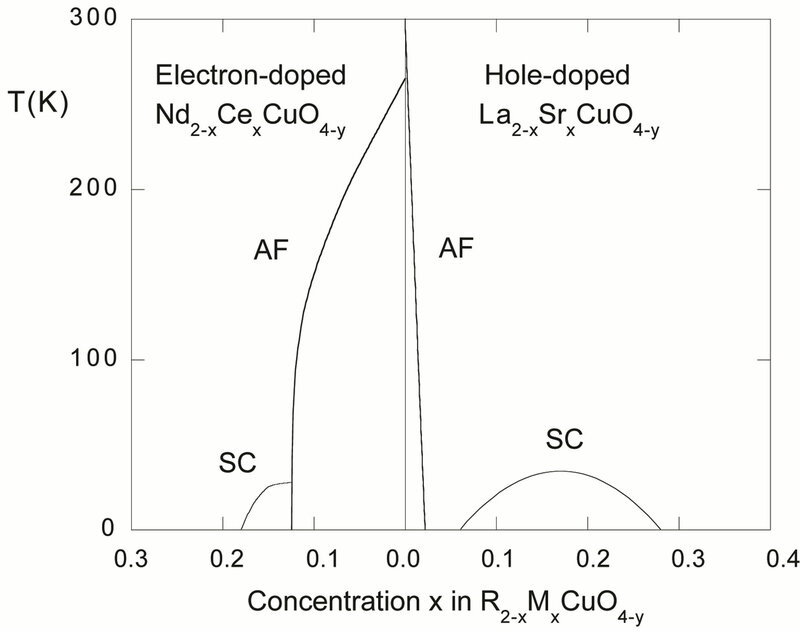 Phase diagram delineating the regions of superconductivity and antiferromagnetic ordering of the Cu2+ ions for the hole-doped La2–xSrxCuO4 and electron-doped Nd2–xCexCuO4–y systems. Figure 2. 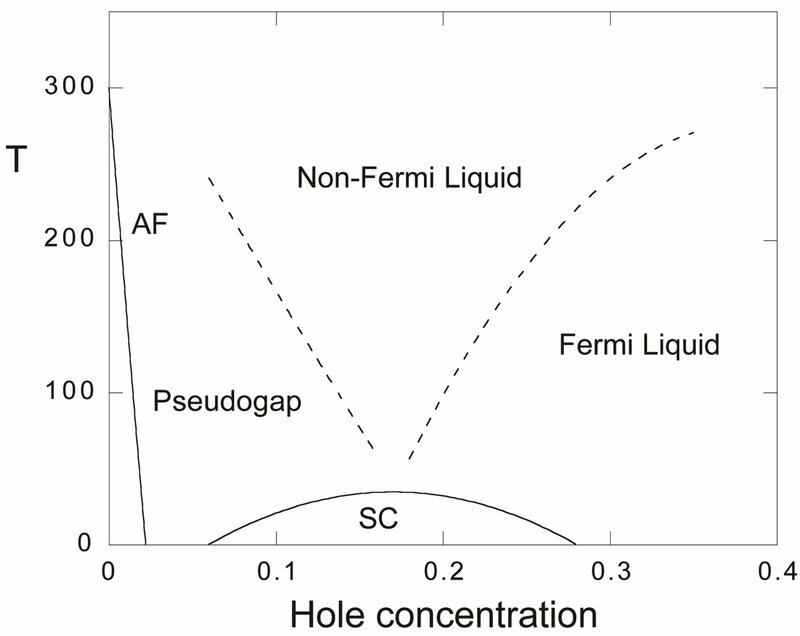 Phase diagram showing the regions of non-Fermi liquid and pseudogap metal for the hole-doped case. The boundaries indicated in the figure are not confirmed yet. symmetry were provided for the electron-doped cuprates Nd2–xCexCuO4 [13-15]. Thus it is expected that the superconductivity of electronic origin is a candidate for the high-Tc superconductivity. We can also expect that the origin of -wave superconductivity lies in the onsite Coulomb interaction of the two-dimensional Hubbard model. The antiferromagnetism should also be examined in correlated electron systems. The undoped oxide compounds exhibit rich structures of antiferromagnetic correlations over a wide range of temperature that are described by the two-dimensional quantum antiferromagnetism [16-18]. A small number of holes introduced by doping are responsible for the disappearance of long-range antiferromagnetic order [19-24]. Recent neutron scattering experiments have suggested an existence of incommensurate ground states with modulation vectors given by and (or and ) where denotes the hole-doping ratio . We can expect that the incommensurate correlations are induced by holes doped into the Cu-O plane in the underdoped region. A checkerboard-like charge-density modulation with a roughly period has also been observed by scanning tunneling microscopy experiments in Bi2212 and Na-CCOC compounds. Recently the mechanism of superconductivity in hightemperature superconductors has been extensively studied using various two-dimensional (2D) models of electronic interactions. Among them the 2D Hubbard model  is the simplest and most fundamental model. This model has been studied intensively using numerical tools, such as the Quantum Monte Carlo method [27-42], and the variational Monte Carlo method [24,43-50]. The two-leg ladder Hubbard model was also investigated with respect to the mechanism of high-temperature superconductivity [51-59]. Since the discovery of cuprate high-temperature superconductors, many researchers have tried to explain the occurrence of superconductivity of these materials in terms of the two-dimensional (2D) Hubbard model. However, it remains matter of considerable controversial as to whether the 2D Hubbard model accounts for the properties of high-temperature cuprate superconductors. This is because the membership of the the two-dimensional Hubbard model in the category of strongly correlated systems is a considerable barrier to progress on this problem. The quest for the existence of a superconducting transition in the 2D Hubbard model is a long-standing problem in correlated-electron physics, and has been the subject of intensive study [35,36,38,46, 60,61]. In particular, the results of quantum Monte Carlo methods, which are believed to be exact unbiased methods, have failed to show the existence of superconductivity in this model [38,61]. where is the strength of the on-site Coulomb interaction and the exponent is determined by solving the gap equation. 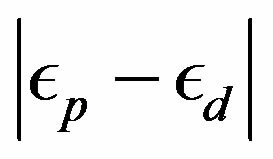 Thus the existence of the superconducting gap is guaranteed by the weak coupling theory although is extremely small because of the exponential behavior given above. indicates the strength of superconductivity. In the intermediate or large coupling region, we must study it beyond the perturbation theory. We investigate the ground state of the Hubbard model by employing the variational Monte Carlo method. 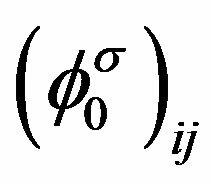 In the region , the finite superconducting gap is obtained by using the quantum variational Monte Carlo method. The superconducting condensation energy obtained by adopting the Gutzwiller ansatz is in reasonable agreement with the condensation energy derived for YBa2Cu3O7. We have further investigated the stability of striped and checkerboard states in the under-doped region. Holes doped in a half-filled square lattice lead to an incommensurate spin and charge density wave. 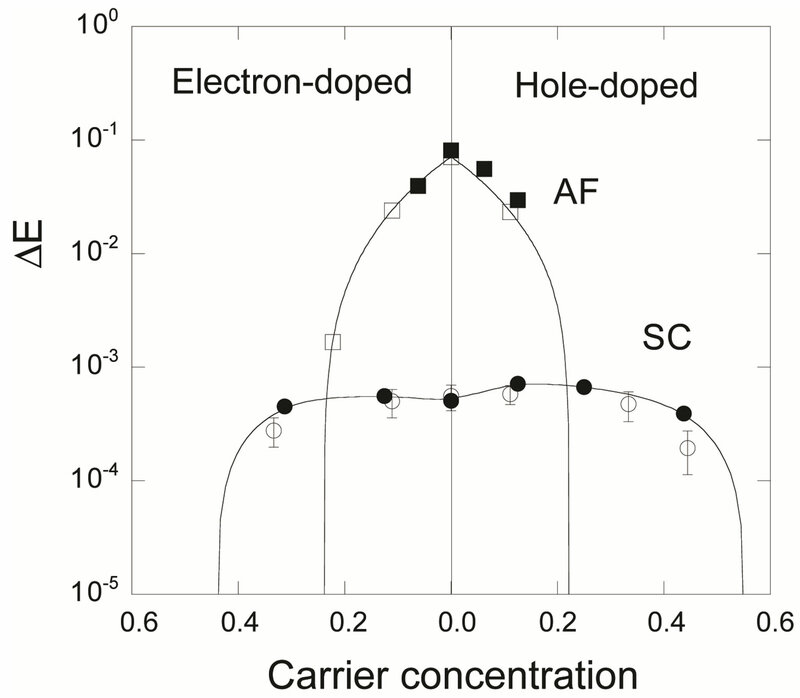 The relationship of the hole density x and incommensurability , , is satisfied in the lower doping region. This is consistent with the results by neutron scattering measurements. To examine the stability of a checkerboard state, we have performed a variational Monte Carlo simulation on a two-dimensional Hubbard model with a Bi-2212 type band structure. We found that the period checkerboard checkerboard spin modulation that is characterized by multi vectors is stabilized. Further investigation has been performed by using the quantum Monte Carlo method which is a numerical method that can be used to simulate the behavior of correlated electron systems. This method is believed to be an exact unbiased method. 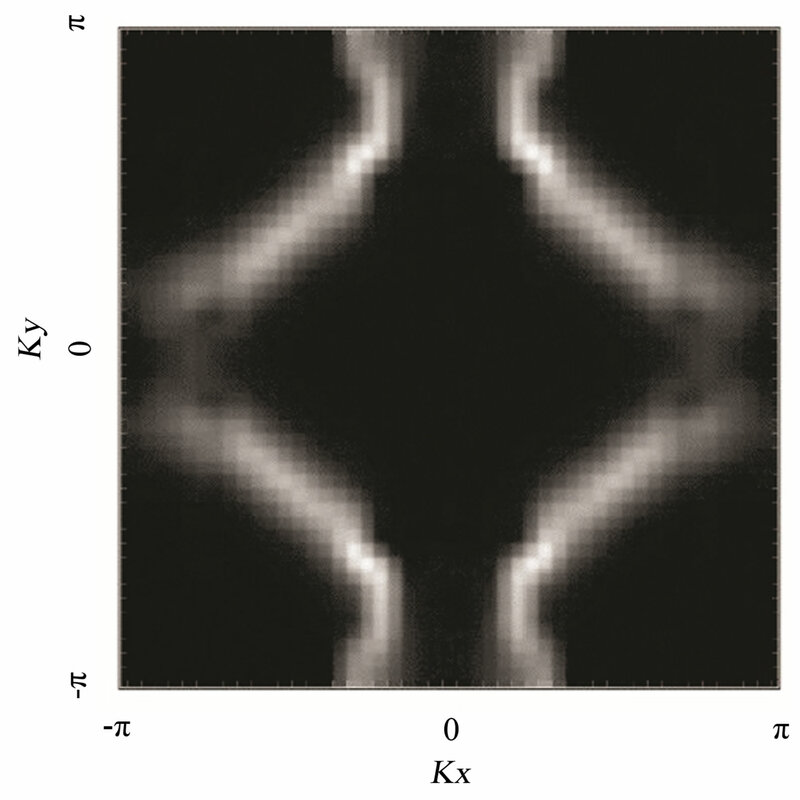 We compute pair correlation functions to examine a possibility of superconductivity. The Quantum Monte Carlo (QMC) method is a numerical method employed to simulate the behavior of correlated electron systems. It is well known, however, that there are significant issues associated with the application to the QMC. First, the standard Metropolis (or heat bath) algorithm is associated with the negative sign problem. Second, the convergence of the trial wave function is sometimes not monotonic, and further, is sometimes slow. In past studies, workers have investigated the possibility of eliminating the negative sign problem [37,38,40-42]. We present the results obtained by a method, quantum Monte Carlo diagonalization, without the negative sign problem. 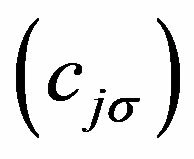 where and denote the creation and annihilation operators of electrons, respectively, and is the number operator. The second term represents the on-site Coulomb interaction which acts when the two electrons occupy the same site. The numbers of lattice sites and electrons are denoted as and , respectively. The electron density is . 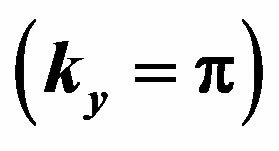 In the non-interacting limit , the Hamiltonian is easily diagonalized in terms of the Fourier transformation. In the ground state each energy level is occupied by electrons up to the Fermi energy. In the other limit , each site is occupied by the upor down-spin electron, or is empty. The non-zero induces the movement of electrons that leads to a metallic state id . The ground state is probably insulating at half-filling if is sufficiently large. The Hubbard model has a long history in describing the magnetism of materials since the early works by Hubbard , Gutzwiller  and Kanamori . Onedimensional Hubbard model has been well understood by means of the Bethe ansatz [70-72] and conformal field theory [73-75]. The solutions established a novel concept of the Tomonaga-Luttinger liquid  which is described by the scalar bosons corresponding to charge and spin sectors, respectively. The correlated electrons in twoand three-dimensional space are still far from a complete understanding in spite of the success for the one-dimensional Hubbard model. A possibility of superconductivity is a hot topic as well as the magnetism and metal-insulator transition for the twoand three-dimensional Hubbard model. Figure 3. The lattice of the three-band Hubbard model on the CuO2 plane. Small circles denote Cu sites and large ones denote O sites. Table 1. Typical parameter values for the three-band Hubbard model. Energies are measured in eV. three-band Hubbard model is written as [24,47,48,80] (see Equation (4)) where and represent unit vectors along x and y directions, respectively. and denote the operators for the electrons at site . Similarly and are defined. denotes the strength of Coulomb interaction between electrons. 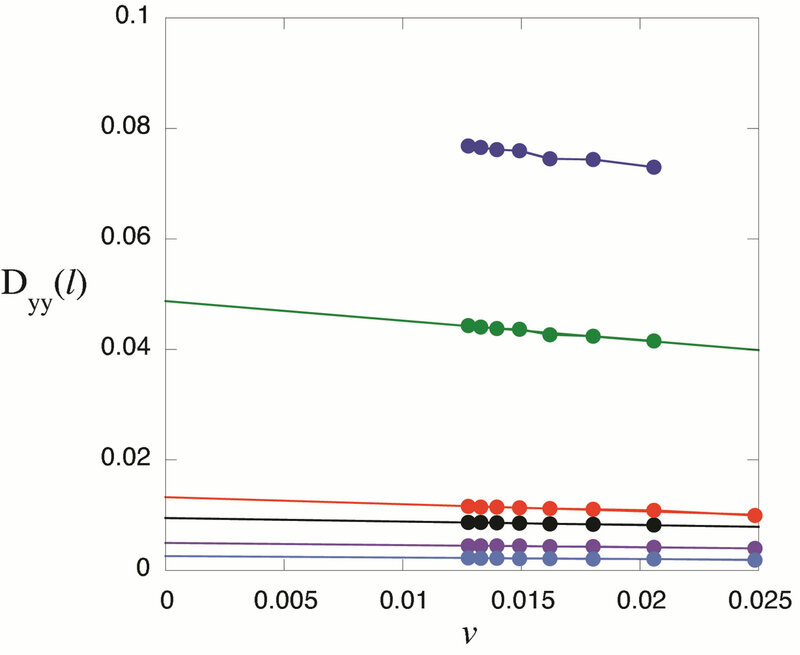 For simplicity we neglect the Coulomb interaction among electrons in this paper. Other notations are standard and energies are measured in units. The number of cells is denoted as for the three-band Hubbard model. 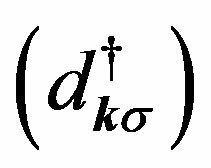 In the non-interacting case the Hamiltonian in the k-space is written as (see Equation (5)). are operators for -, - and -electron of the momentum and spin , respectively. where . gives the antiferromagnetic coupling between the neighboring and electrons. In real materials is not so large. Thus it seems that the mapping to the t-J model is not necessarily justified. In this Section we present studies on the two-dimensional Hubbard model by using the variational Monte Carlo method. with respect to , and for for . For the variational parameter is only . 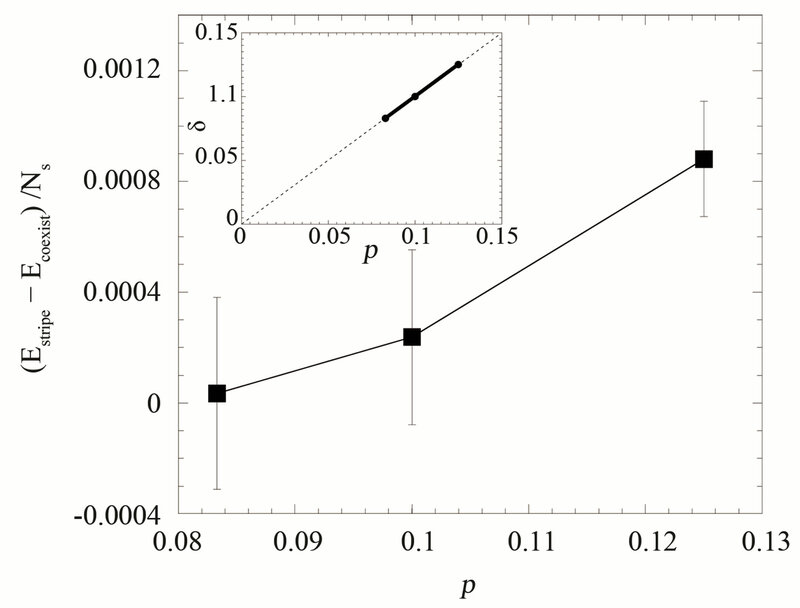 We can employ the correlated measurements method  in the process of searching optimal parameter values minimizing . Then we can apply the standard Monte Carlo sampling method to evaluate the expectation values [94,95]. 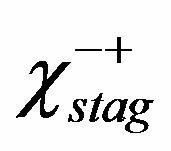 This method is used to consider an off-diagonal Jastrow correlation factor of exp(–S)-type. The results for the improved wave functions are discussed in Section 3.10. In Figure 4 calculated energies per site with on the lattice are shown for the case of and . is plotted as a function of for three types of gap functions shown above. We impose the periodic and the antiperiodic boundary conditions for - and -direction, respectively. 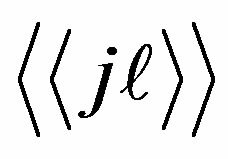 This set of boundary conditions is chosen so that does not vanish for any k-points occupied by electrons. was obtained as the average of the results of several Monte Carlo calculations each with steps. has minimum at a finite value of in the case of the d-wave gap function. Figure 4. Ground state energy per site for the 2D Hubbard model is plotted against for the case of 84 electrons on the 10 × 10 lattice with and . Solid curves are for the d-wave gap function. Squares and triangles are for the s*- and s-wave gap functions, respectively. The diamond shows the normal state value . Figure 5. Energy gain per site in the SC state with reference to the normal state for the 2D Hubbard model is plotted as a function of . L is the length of the edge of the square lattice. YBCO attached to the vertical axis indicates the experimental value of the SC condensation energy for YBa2Cu3O4 . clearly that the bulk limit remains finite when and . When , and , the bulk-limit is , where t = 0.51 eV is used . Thus the superconductivity is a real bulk property, not a spurious size effect. The value is remarkably close to experimental values 0.17 ~ 0.26 meV/site estimated from specific heat data [99,100] and 0.26 meV/site from the critical magnetic field  for optimally doped YBa2Cu3O4 (YBCO). This good agreement strongly indicates that the 2D Hubbard model includes essential ingredients for the superconductivity in the cuprates. We just point out that the t-J model gives at for J = 4 t2/U = 0.5 and . This value is 50 times larger than the experimental values indicating a serious quantitative problem with this model. 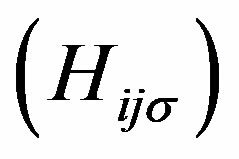 This means that the t-J model made from the leading two terms in the expansion in terms of of the canonical transformation of the Hubbard model should be treated with the higher-order terms in order to give a realistic SC condensation energy. 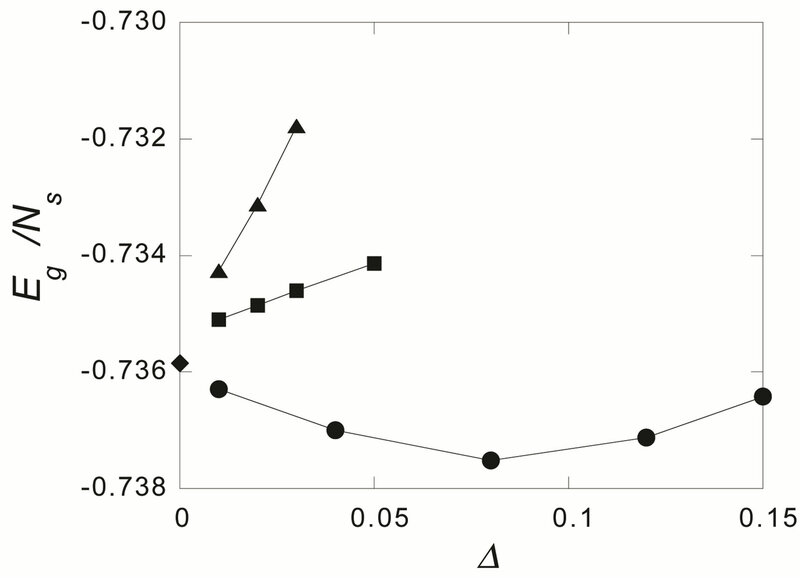 Here we show the SC condensation energy as a function of in Figure 6. The condensation energy is increased as is increased as far as . In the strong coupling region , we obtain the large condensation energy. Figure 6. Energy gain per site in the SC state with reference to the normal state for the 2D Hubbard model as a function of the Coulomb repulsion U. The system is 10 × 10 with the electron number and . for YBCO. The band parameter values of LSCO were estimated as and . This set corresponds roughly to . The latter value is much larger than the above-mentioned experimental value for LSCO. However, the stripe-type SDW state coexists with superconductivity [105,106] and the SC part of the whole is much reduced. Therefore, such a coexistence allows us to qualitatively understand the SC in LSCO. On the other hand, Tl2201 and Hg1201 band calculations by Singh and Pickett  give very much deformed Fermi surfaces that can be fitted by large such as . For Tl2201, an Angular Magnetoresistance Oscillations (AMRO) work  gives information of the Fermi surface, which allows to get and . 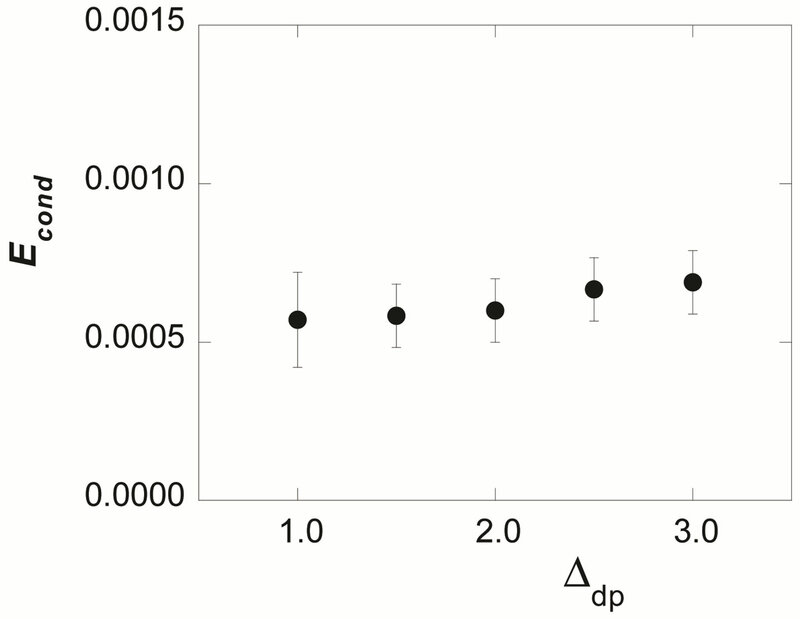 There is also an Angle-Resolved Photoemission Study (ARPES) , which provides similar values. In the case of Hg1201, there is an ARPES work , form which we obtain by fitting and . For such a deformed Fermi surface, in the bulk limit is reduced considerably. [111,112] Therefore, the SC calculated by VMC indicates that the Fermi surface of LSCO-type is more favorable for high . The lower in LSCO may be attributed to the coexistence with antiferromagnetism of stripe type. of each band was forced to take a fixed value specific to each band, i.e. for the bonding band and for the antibonding band. This drastically reduces the number of the variational parameters but still allows us to get a substantial value of the condensation energy. and take opposite sign, which is similar to that of the gap function. The energy gain remains finite in the bulk limit when . 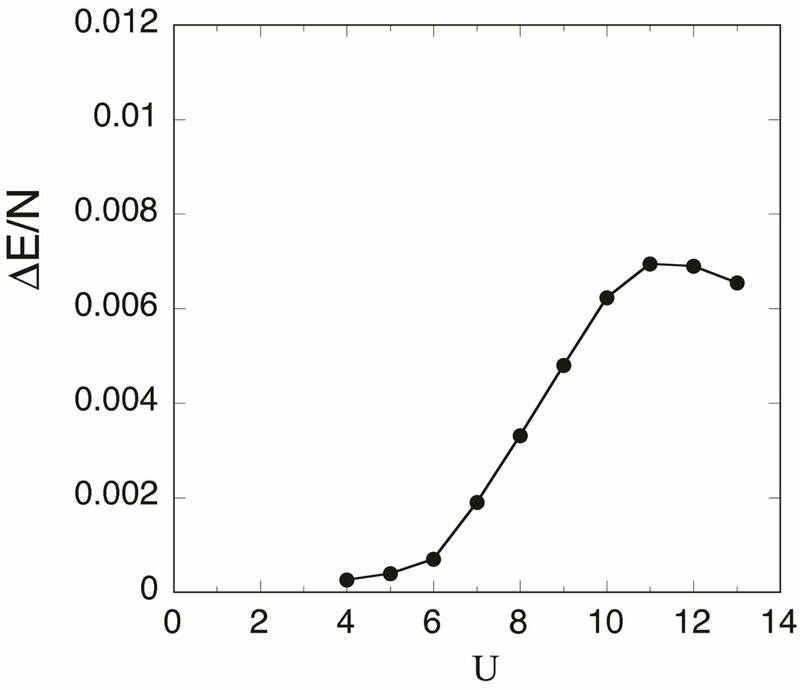 The SC condensation energy per site in the bulk limit is plotted as a function of in Figure 8 . The SC region derived from the SC condensation energy in the bulk limit is consistent with the results obtained from the density-matrix renormalization group [55,56] and the exact-diagonalization method [51,52,115]. 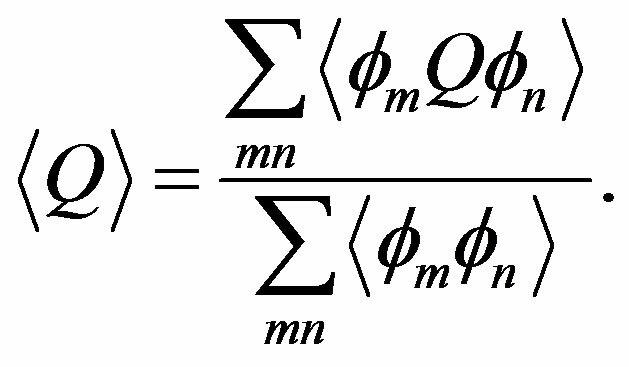 The maximum value of is 0.0008 which is of the same order of magnitude as the maximum condensation energy obtained for the 2D Hubbard model . Figure 7. The values of components of for the twochain Hubbard model. All the values of of the bonding band and antibonding band correspond to the energy minimum for 20 × 2 lattice with 34 electrons. 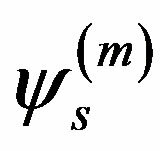 The parameters in the Hamiltonian are and and the variational parameters are and . 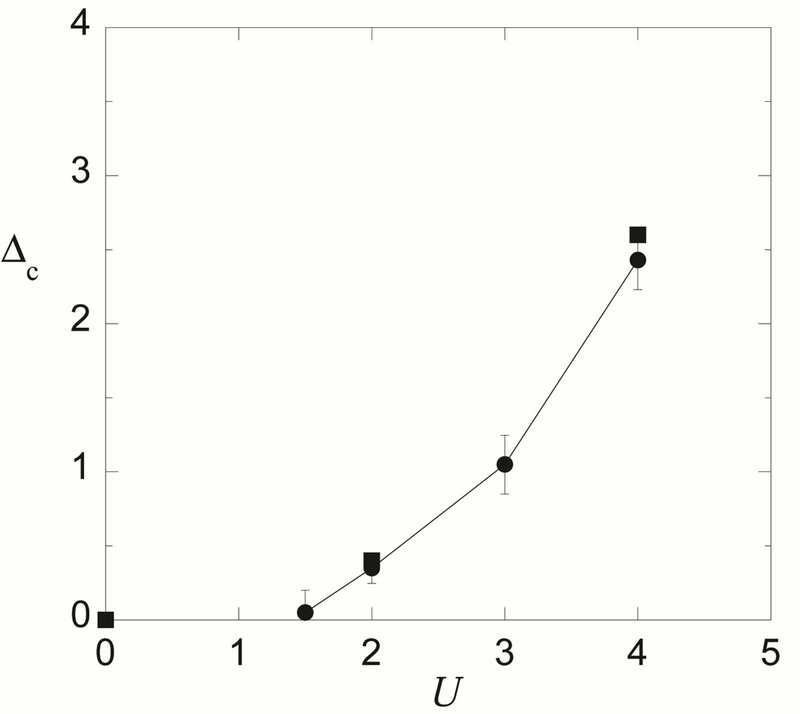 Figure 8. dependence of the SC condensation energy for the two-chain Hubbard model in the bulk limit . 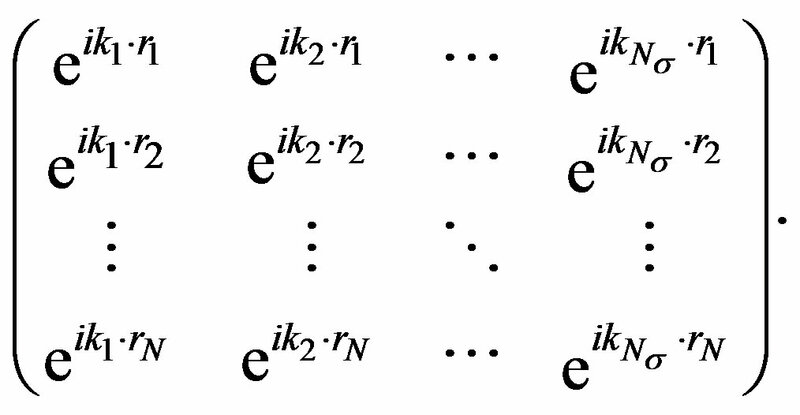 where is the linear combination of , and constructed to express the operator for the lowest band (in the hole picture) or the highest band (in the electron picture) of the non-interacting Hamiltonian. The numerical calculations have been done in the hole picture. The Gutzwiller parameter , effective level difference , chemical potential and superconducting order parameter are the variational parameters. 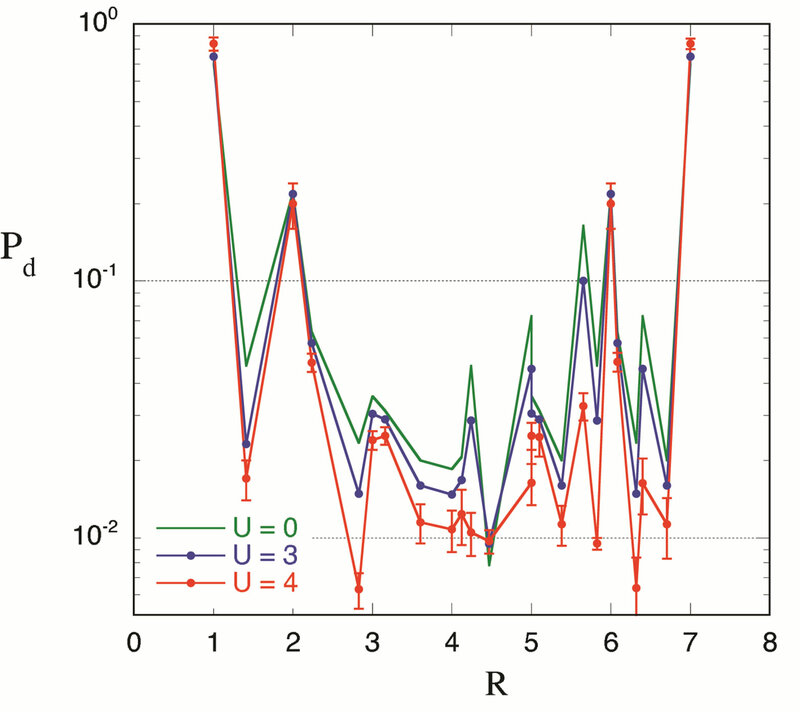 The similar results to the single-band Hubbard model were obtained as shown in Figure 9 for , and in units where the calculations were performed in the hole picture . The SC condensation energy for the three-band model is meV per site in the optimally doped region. We set as estimated in Table 1. There is a tendency that increases as increases which is plotted in Figure 10. This tendency is not, however, in accordance with NQR (nuclear quadrupole resonance) study on cuprates. We think that the NQR experiments indicate an importance of the Coulomb interaction on oxygen sites. This will be discussed in Section 3.11. Figure 9. Ground-state energy per site as a function of with the d-wave gap function for the three-band Hubbard model. The size of lattice is 6 × 6. Parameters are , and in units of . The doping rate is for (a) and for (b). Squares denote the energies for the normal-state wave function . Figure 10. Energy gain per site in the SC state as a function of the level difference for the three-band Hubbard model with and . The size of lattice is 6 × 6 sites. 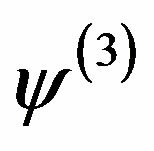 Summation over and in Equation (33) is performed over the filled k-points, as in the calculation of the normal state energy. is the SDW wave vector given by and is the SDW potential amplitude. 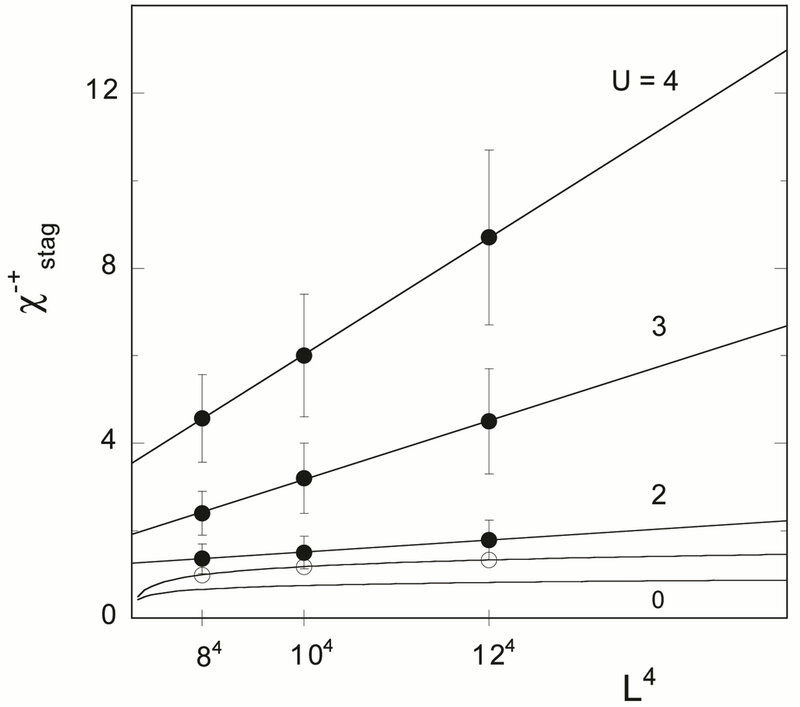 As shown in Figure 11, the energy gain per site in the SDW state rises very sharply from for . At it is slightly larger than that in the SC state, and at there is no more stable SDW state. Thus the boundary between the SDW and the SC states is given at . The results of the bulk limit calculations indicate that the energy gain in the SC state at takes the extremely small value and the value at vanishes as . Hence the pure d-wave SC state possibly exists near the boundary at , but the region of pure SC state is very restricted. Figure 11. Energy gain per site in the SDW state (diamonds) against electron density for and the energy gain in the SC state for (open circles) and (solid circles). The model is the 2D Hubbard model on 10 × 10 lattice . Figure 12. 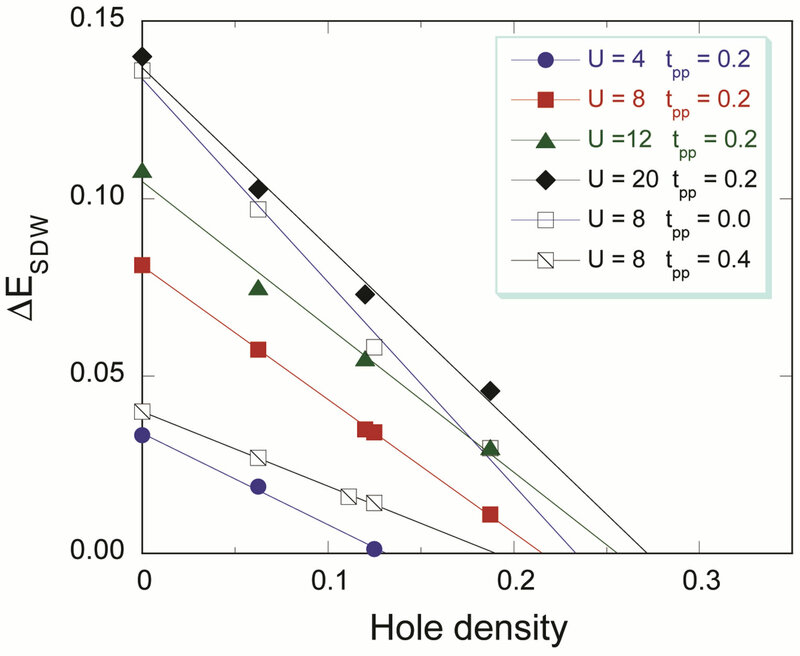 Antiferromagnetic region in the plane of U and the hole density for and . the antiferromagnetic long-range ordering exists up to about 20 percent doping. Thus the similar features are observed compared to the single-band Hubbard model. Since the three-band Hubbard model contains several parameters, we must examine the parameter dependence of the energy of SDW state. The energy gain in the SDW state is shown in Figure 13 as a function of doping ratio for several values of . increases as increases as expected. In Figure 14 - and -dependencies of are presented. The SDW phase extends up to 30 percent doping when is large. It follows from the calculations that the SDW region will be reduced if and decrease. 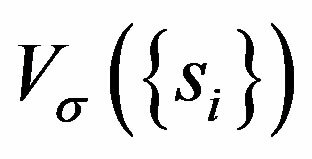 From the calculations for the SDW wave functions, we should set and small so that the SDW phase does not occupy a huge region near half-filling. In Figures 15 and 16, we show energy gains for both the SDW and SC states for , , and , where the right hand side and left hand side indicate the hole-doped and electron-doped case, respectively. Solid symbols indicate the results for and open symbols for . For this set of parameters the SDW region extends up to 20 percent doping and the pure d-wave phase exists outside of the SDW phase. The d-wave phase may be possibly identified with superconducting phase in the overdoped region in the high- superconductors. Figure 13. 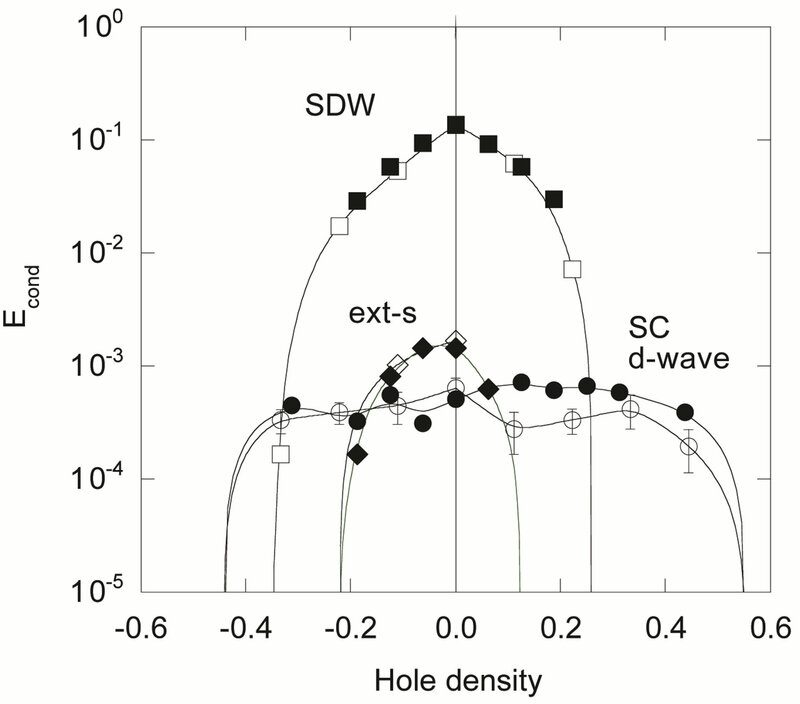 Energy gain per site in the SDW state as a function of hole density for the threeband Hubbard model. Parameters are and in units. From the top, , 2, 1.5 and 1. The results are for 6 × 6, 8 × 8, 10 × 10 and 16 × 12 systems. Antiperiodic and periodic boundary conditions are imposed in xand y-direction, respectively. Monte Carlo statistical errors are smaller than the size of symbols. Curves are a guide to the eye . Figure 14. 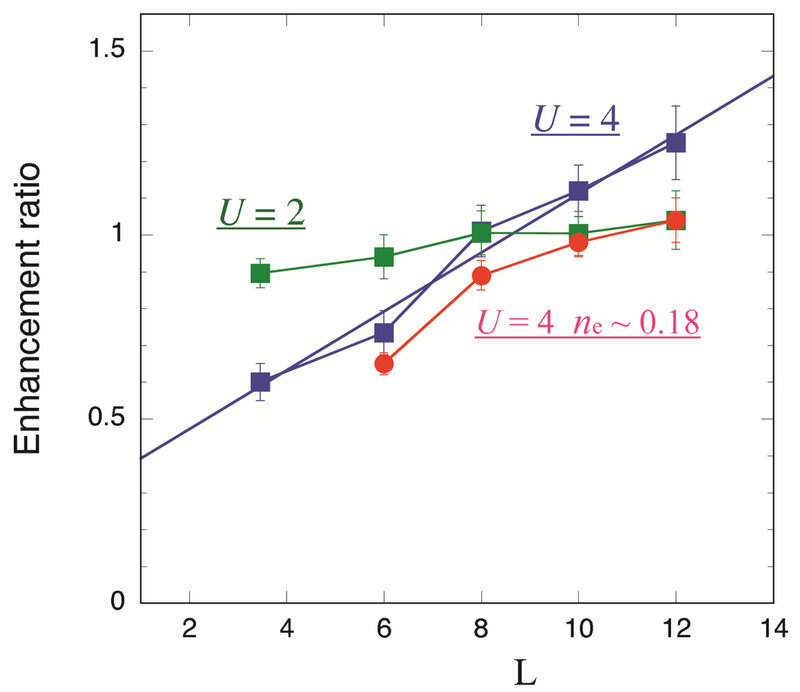 Uniform SDW energy gain per site with reference to the normal-state energy as a function of the hole density for the three-band Hubbard model. Data are from 8 × 8, 10 × 10, 12 × 12 and 16 × 12 systems for . For solid symbols (circles), (squares), (triangles) and (diamonds) for . For open symbols and , and for open squares with slash and . The lines are a guide to the eye. The Monte Carlo statistical errors are smaller than the size of symbols . Figure 15. 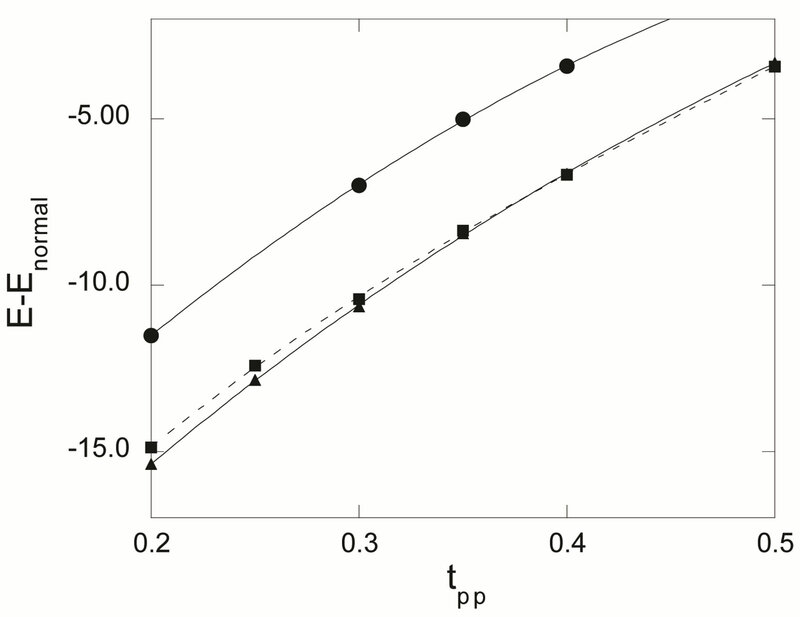 Condensation energy per site as a function of hole density for the three-band Hubbard model where , and . Circles and squares denote the energy gain per site with reference to the normal-state energy for d-wave, ext-s wave and SDW states, respectively. For extremely small doping rate, the extended s-wave state is more favorable than the d-wave state. Solid symbols are for 8 × 8 and open symbols are for 6 × 6. Curves are a guide to the eye. Figure 16. 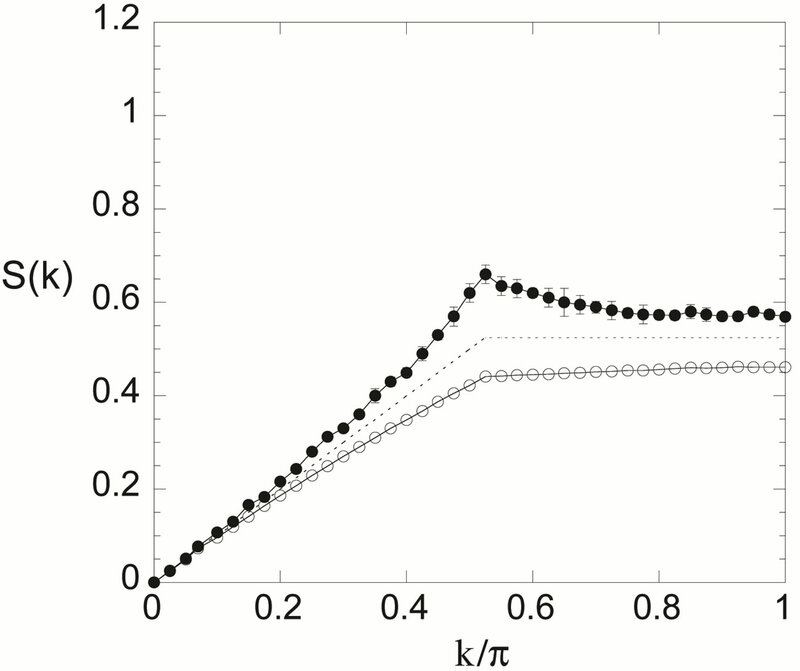 Condensation energy per site as a function of hole density for the three-band Hubbard model where , and . Circles and squares denote the energy gain per site with reference to the normal-state energy for d-wave and SDW states, respectively. Solid symbols are for 8 × 8 and open symbols are for 6 × 6. Curves are a guide to the eye. domains. This state is a kind of incommensurate SDW state. It was also shown that the incommensurability is proportional to the hole density in the low-doping region in which the hole number per stripe is half of the site number along one stripe [118,120]. A static magnetically ordered phase has been observed by SR over a wide range of SC phase for in La2–xSrxCuO4 (LSCO) . Thus the possibility of superconductivity that occurs in the stripe state is a subject of great interest [127-130]. The incommensurate magnetic scattering spots around were observed in the SC phase in the range of in the elastic and inelastic neutron-scattering experiments with LSCO [127,128,130]. The hole dependence of the incommensurability and the configuration of the spots around the Bragg spot in the SC phase indicated the vertical stripe. The neutronscattering experiments have also revealed that a diagonal spin modulation occurs across the insulating spin-glass phase in La2–xSrxCuO4 for , where a one-dimensional modulation is rotated by 45 degrees from the stripe in the SC phase. The incommensurability versus hole density is shown in Figure 18 schematically [129,130]. The diagonal stripe changes into the vertical stripe across the boundary between the insulating and SC phase. Figure 17. 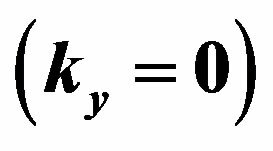 Charge and spin density as a function of the distance for a striped state . Figure 18. Schematic illustration of the incommensurability versus hole density. favorable in the hole-doped 2D Hubbard model. When the electron correlation correlation is strong or intermediate, it was shown that the stripe state is more stable than the commensurate spin-density-wave state with the wave vector in the ground state of the 2D Hubbard model by using the variational Monte Carlo method . It has also been confirmed by the same means that the stripe states are stabilized in the d-p model . The purpose of this section is to examine whether the superconductivity can coexist with static stripes in the 2D Hubbard model in a wider doping region and investigate the doping dependence of the coexisting state. respectively. Here, and is a incommensurability given by the stripe’s periodicity in the y direction with regard to the spin. The anti-phase (inphase) means that the sign if the superconducting gap is (is not) changed between nearest domain walls. for constants and . The calculations are performed for the wave function . The variational parameters are , , , and . The system parameters were chosen as and suitable for cuprate superconductors. It has been shown that the “anti-phase” configuration is more stable than the “in-phase” one . Here, the system parameters are and . We use the periodic boundary condition in the x-direction and anti-periodic one in the y-direction. In Figure 19, we show the total energy of the coexistent state, , as a function of the SC gap for the cases of anti-phase and in-phase. 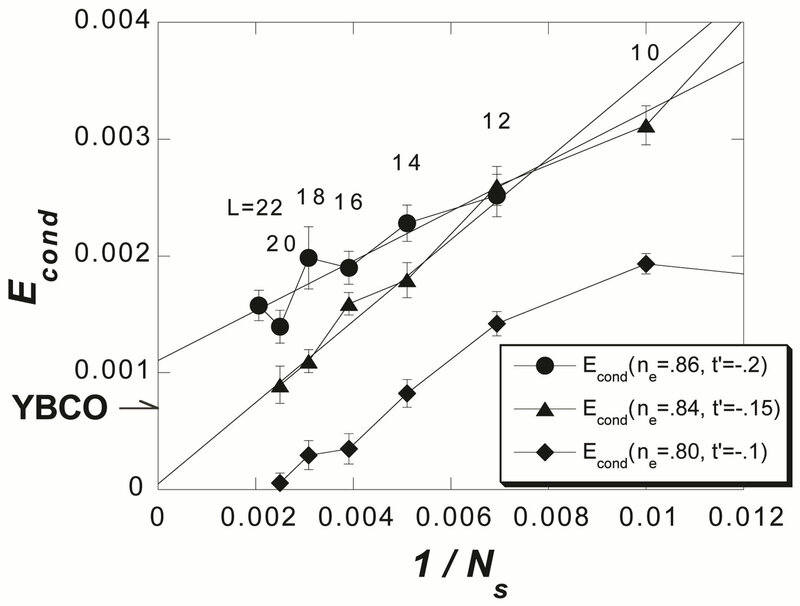 The SC condensation energy is estimated as 0.0008 t per site at the hole density 0.125 on the lattice with periodic boundary condition in x-direction and antiperiodic one in y-direction. in the coexistence state is defined as the decrease of energy due to finite . If we use , this is evaluated as . 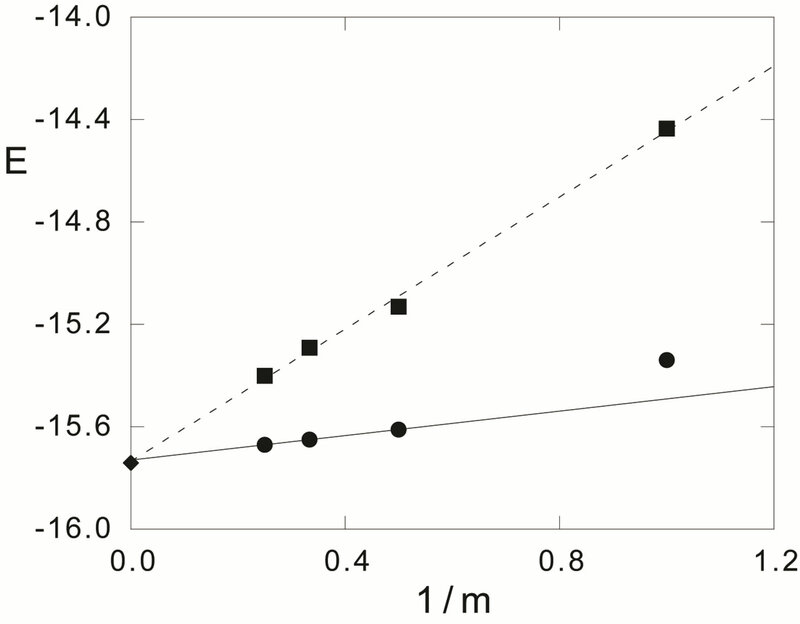 The SC condensation energy per site is shown as a function of hole density in Figure 20. One finds that in the stripe state decreases as the hole density decreases. This tendency is reasonable since the SC order is weakened in the domain of the incommensurate SDW because of the vanishingly small carrier concentration contributing the superconductivity in this domain. This behavior is consistent with the SC condensation energy estimated from the specific heat measurements . Figure 19. Coexistent state energy per site versus for the case of 84 electrons on 12 × 8 sites with and . Here the vertical stripe state has 8-lattice periodicity for the hole density . Only for the optimized gap is plotted for the in-phase superconductivity. Figure 20. 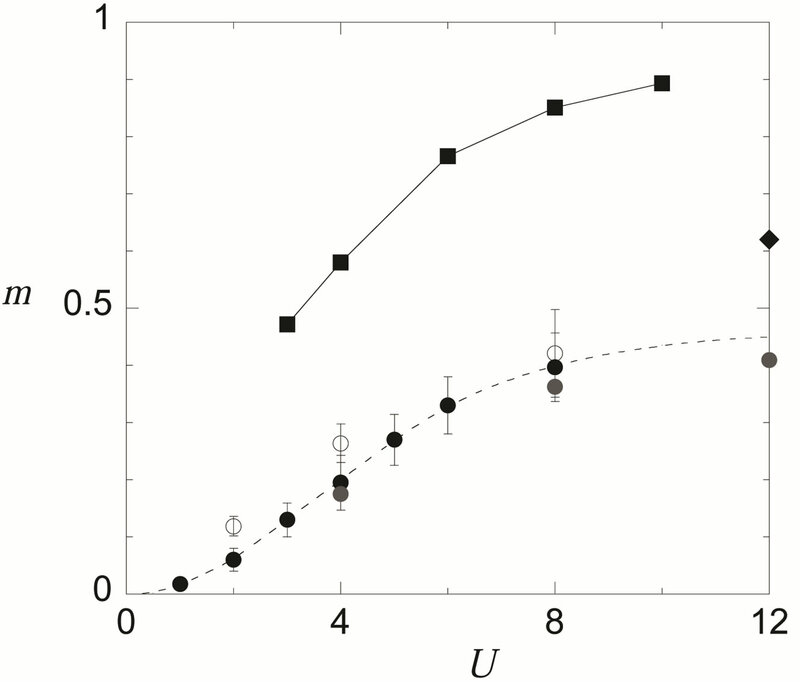 Superconducting condensation energy per site in the coexistence state as a function of the hole density , 0.10 and 0.125. The model is the single-band Hubbard Hamiltonian with . 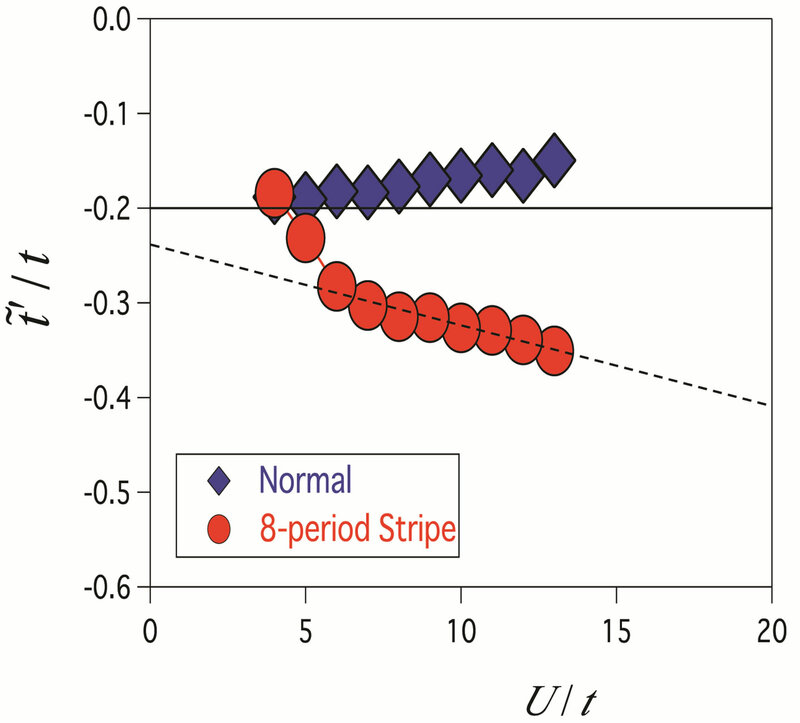 The stripe interval is preserved constant. The inset shows the hole dependence of the incommensurability in the coexistent state . Figure 21. Optimized effective second neighbor transfer energy as a function of . The system is a 16 × 16 lattice with and the electron density 0.875.
optimized values of for the striped state are shown as a function of . The increases as increases. We also mention that the optimized almost vanishes. The renormalized Fermi surface of , and are plotted in Figure 22. The system is a lattice with and the electron density 0.875. As is incresed, the Fermi surface is more deformed. We show the the gradient of the momentum distribution function, , calculated in the optimized stripe state in Figure 23. The brighter areas coincide with the renormalized Fermi surface with and for . The calculations for the three-band Hubbard model has also been done taking into account the coexistence of stripes and SC [15,106]. The energy of antiferromagnetic state would be lowered further if we consider the incommensurate spin correlation in the wave function. The phase diagram in Figure 24 presents the region of stable AF phase in the plane of and . For large , we have the region of the AF state with an eight-lattice periodicity in accordance with the results of neutron-scattering measurements [118,123]. The energy at is shown in Figure 25 where the 4-lattice stripe state has higher energy than that for 8-lattice stripe for all the values of . Figure 22. Renormalized quasi-Fermi surface for , and . The system is the same as that in Figure 21. Figure 23. Contour plot of measured for the projected stripe state on 24 × 24 lattice with . The electron density is 0.875. Figure 24. 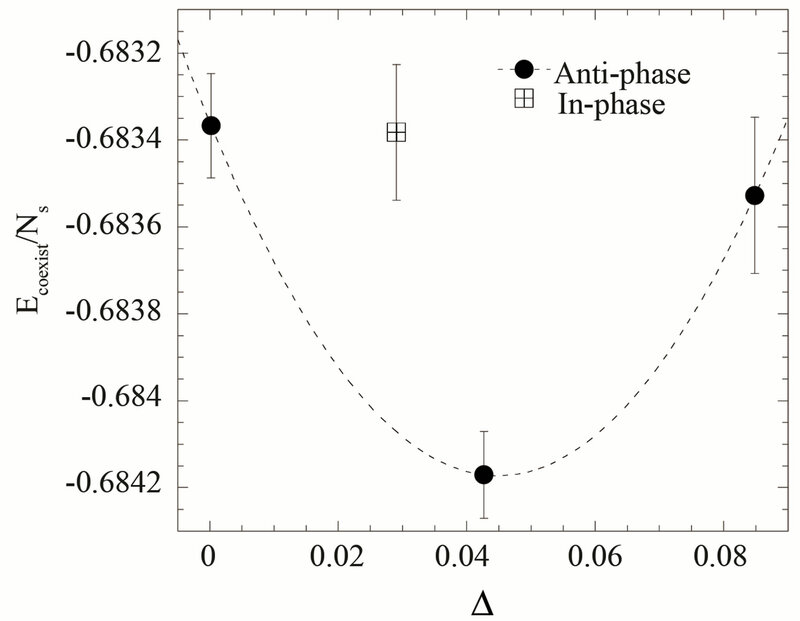 Phase diagram of stable antiferromagnetic state in the plane of and obtained for 16 × 4 lattice. Figure 25. Energy as a function of for 16 × 16 square lattice at . Circles, triangles and squares denote the energy for 4-lattice stripes, 8-lattice stripes, and commensurate SDW, respectively, where n-lattice stripe is the incommensurate state with one stripe per n ladders. The boundary conditions are antiperiodic in x-direction and periodic in y-direction [47,106]. Figure 26. Energy of the coexistent state as a function of the SC order parameter for on 16 × 4 lattice. We assume the incommensurate antiferromagnetic order (stripe). Parameters are , , and in units. For solid circles the SC gap function is taken as and , while for the open circles and . .
energy for , 0.125 0.08333 and 0.0625 in Figure 27. We set the parameters as and in units, which is reasonable from the viewpoint of the density of states and is remarkably in accordance with cluster estimations [89-91], and also in the region of eight-lattice periodicity at . We have carried out the Monte Carlo calculations up to sites (768 atoms in total). In the overdoped region in the range of , we have the uniform d-wave pairing state as the ground state. 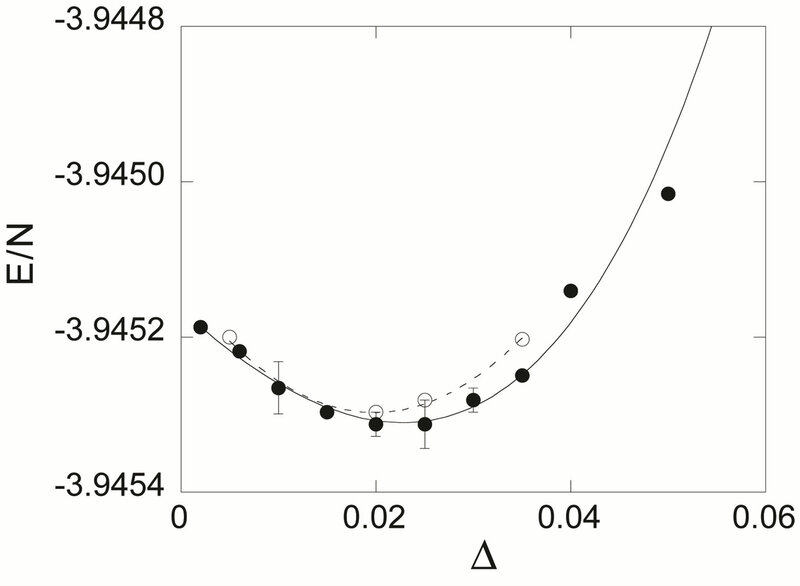 The periodicity of spatial variation increases as the doping rate decreases proportional to . 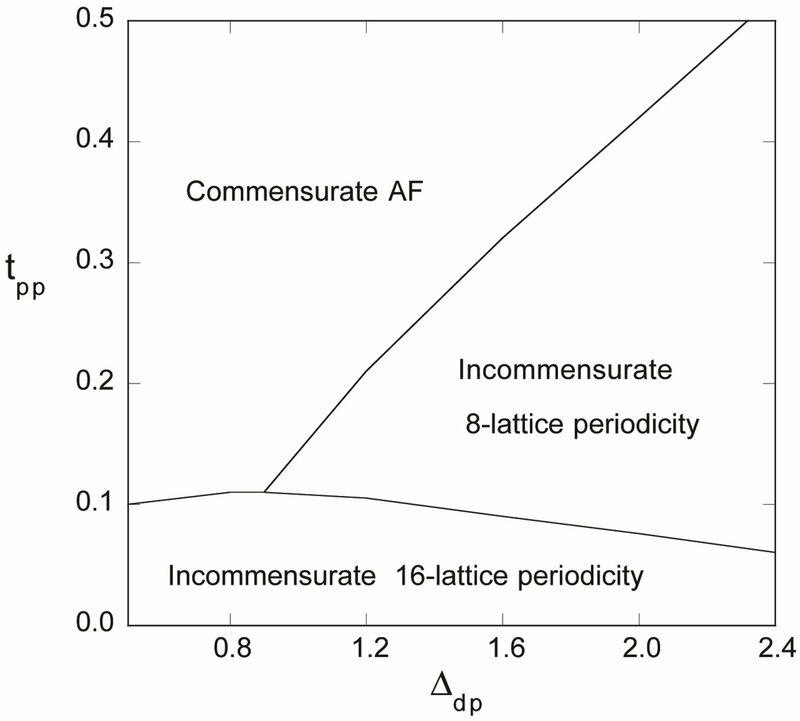 In the figure we have the 12-lattice periodicity at and 16-lattice periodicity at . For , 0.125 and 0.08333, the results strongly suggest a finite condensation energy in the bulk limit. The SC condensation energy obtained on the basis of specific heat measurements agrees well with the variational Monte Carlo computations . In general, the Monte Carlo statistical errors are much larger than those for the single-band Hubbard model. 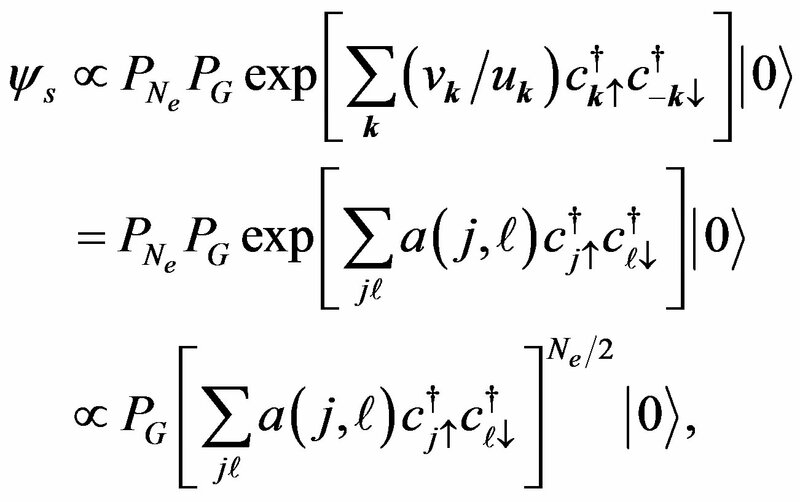 The large number of Monte Carlo steps (more than ) is required to get convergent expectation values for each set of parameters. Figure 27. Energy gain due to the SC order parameter as a function of the system size . Parameters are , , and . The open circle is for the simple d-wave pairing at the hole density . The solid symbols indicate the energy gain of the coexistent state; the solid circle is at , the solid square is at and the solid triangle is at . The diamond shows the SC condensation energy obtained on the basis of specific heat measurements . Figure 28. Phase diagram of the d-p model based on the Gutzwiller wave function .
. The phase diagram is consistent with the recently reported phase diagram for layered cuprates . Here we examine whether the relationship holds in the lower doping region or not, and whether the diagonal stripe state is obtained in the further lower doping region . The elastic neutron scattering experiments of LSCO in the light-doping region, , revealed that the position of incommensurate magnetic peaks changed from to as becomes less than 0.06 [129,130]. This means that the stripe direction rotates by 45 degrees to become diagonal at this transition. 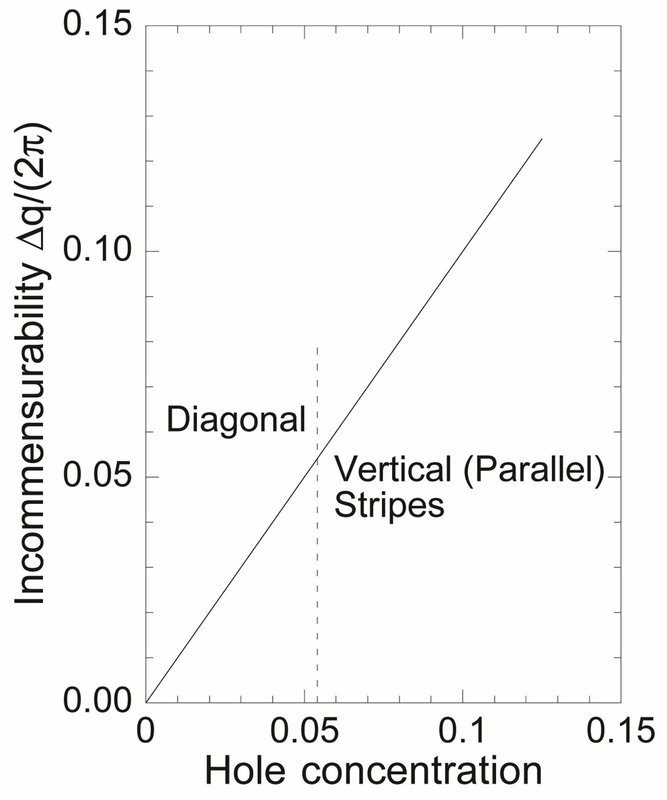 In the diagonal stripe states, the magnetic peaks are observed to keep a relation that holds in the vertical stripe state in the low doping region. Figure 29. 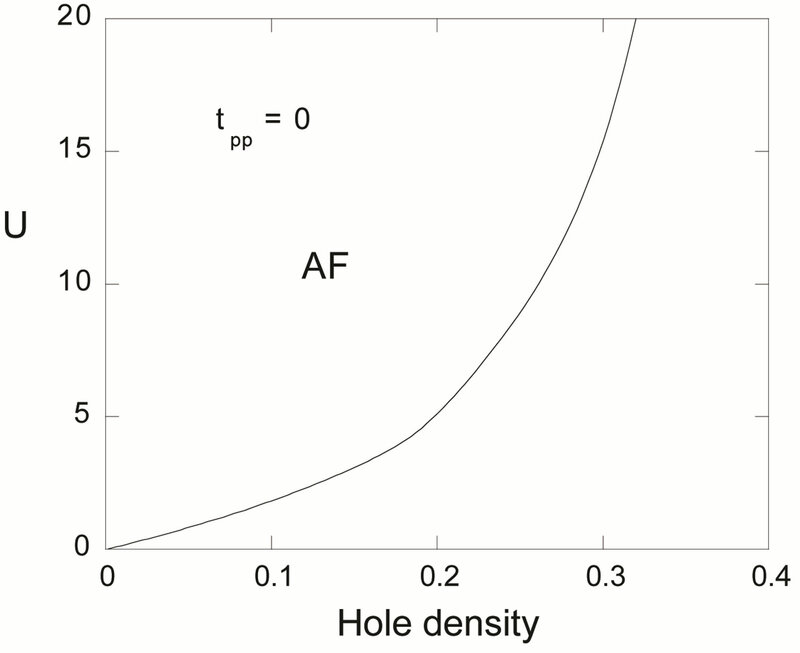 Incommensurability as a function of the hole density x for and . 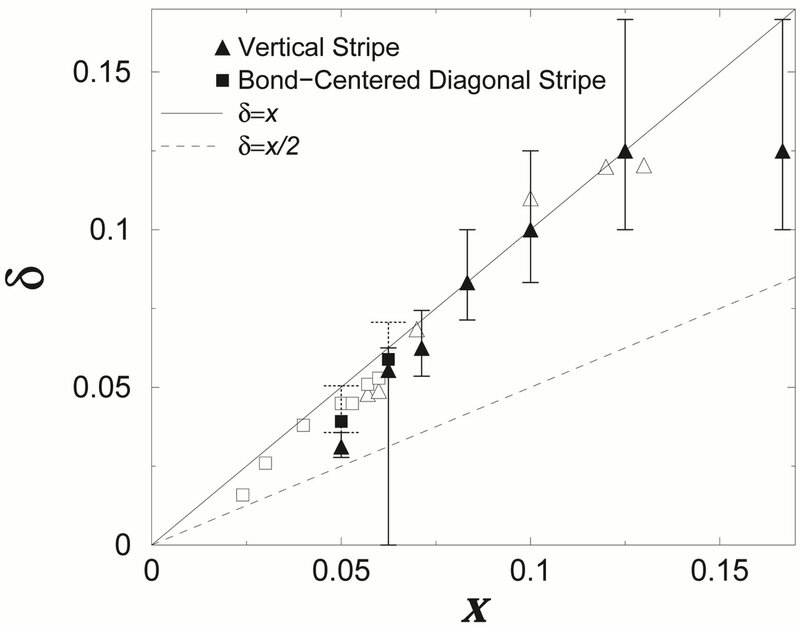 The numerical results for the vertical and the bond-centered diagonal stripe state are represented by solid triangles and square symbols, respectively. Open triangles and squares show the results of the vertical and diagonal incommensurate SDW order observed from neutron scattering measurements, respectively . case of and . The following factors may give rise to slight changes of the phase boundary : the diagonal stripe state may be stabilized in the low-temperature-orthorhombic (LTO) phase in LSCO. The diagonal stripe state is probably stabilized further by forming a line along larger next-nearest hopping direction due to the anisotropic generated by the Cu-O buckling in the LTO phase. A checkerboard-like density modulation with a roughly period ( is a lattice constant) has also been observed by scanning tunneling microscopy (STM) experiments in Bi2Sr2CaCu2O8+d,  Bi2Sr2–xLaxCuO6+d,  and Ca2–xNaxCuO2Cl2 (Na-CCOC) . It is important to clarify whether these inhomogeneous states can be understood within the framework of strongly correlated electrons. where and are variational parameters. The striped incommensurate spin-density wave state (ISDW) is defined by a single Q vector. On the other hand, the checkerboard ISDW state is described by the double-Q set; for example, vertical wave vectors and describe a spin vertical checkerboard state, where two diagonal domain walls are orthogonal. Diagonal wave vectors and lead to a spin diagonal checkerboard state with a -period. The hole density forms the charge vertical checkerboard pattern with vertical wave vectors and in which the hole density is maximal on the crossing point of magnetic domain walls in the spin diagonal checkerboard state. If is assumed, the charge modulation pattern is consistent with the charge structure observed in STM experiments. Figure 30. 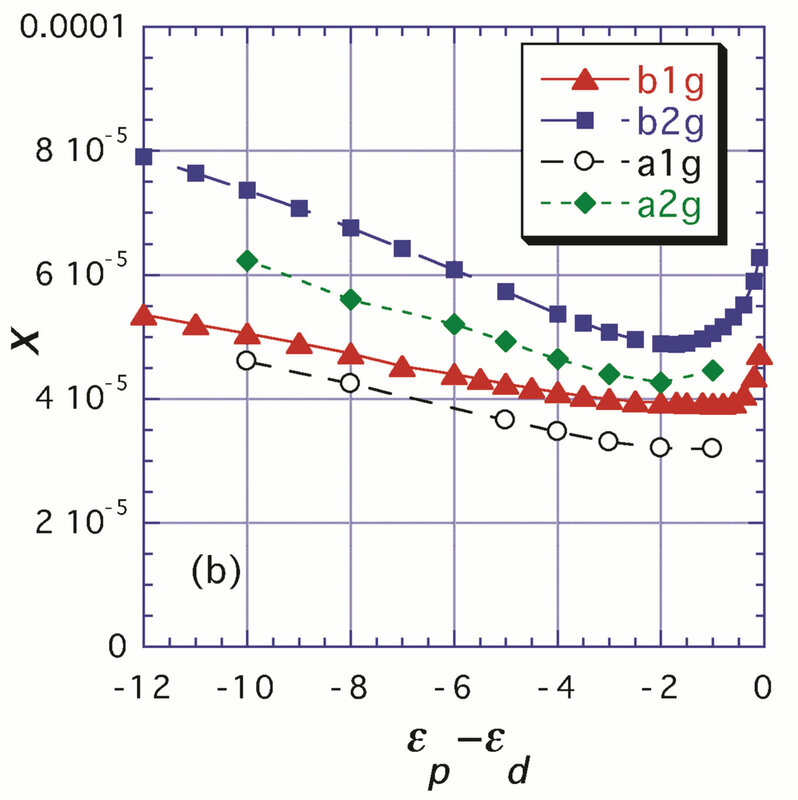 (a) Condensation energies of inhomogeneous states with the bond-centered magnetic domain wall. The system is a 16 × 16 lattice with , , and for the case of . The static error bars are smaller than the size of symbols; (b) Expectation value of the spin density measured in the four-period spin-DCVC solution. The length of arrows is proportional to the spin density.
. The energy of the normal state is calculated by adopting . 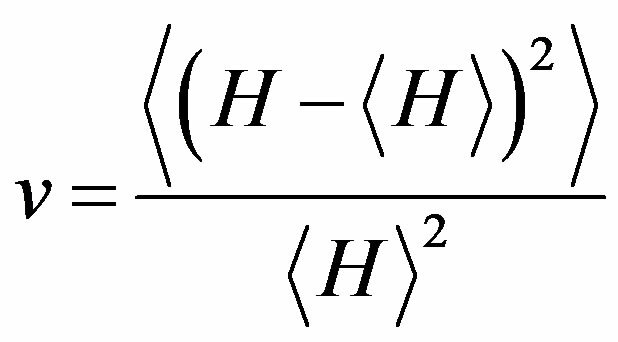 In our calculations, the condensation energies of both bondcentered stripe and checkerboard states are always larger than those of site-centered stripe and checkerboard states. The vertical stripe state is not suitable in this parameter set since this state is only stabilized with the LSCO-type band. The four-period spin-diagonal checkerboard (DC) state is significantly more stable than the eight-period spin-DC state. 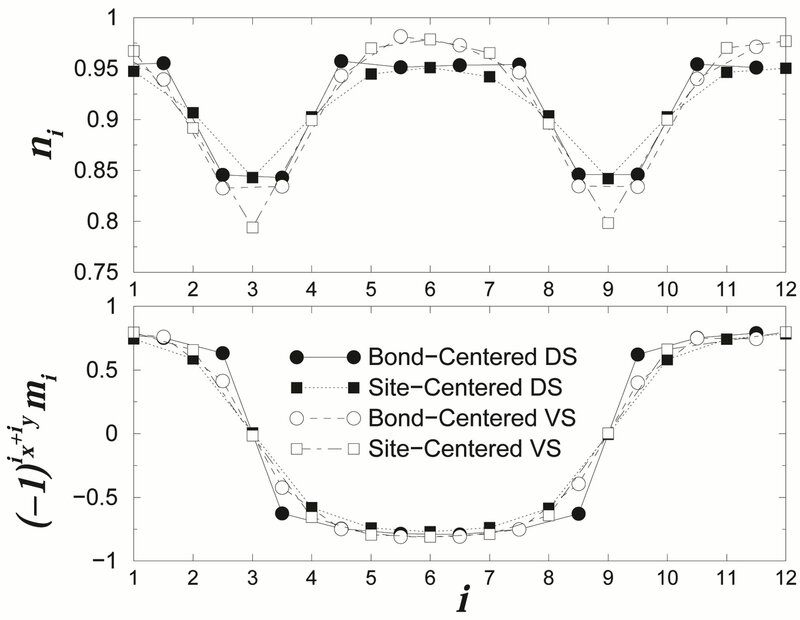 We found that the coexistent state of the bond-centered four-period spin-DC and four-period spin-vertical checkerboard (VC) with is most stable, as shown in Figure 30(a). The measured expectation value of the spin density is shown in Figure 30(b). for the variational parameter . We have investigated the 2D Hubbard model by using the JastrowGutzwiller function . The ground-state energy is lowered considerably by considering the intersite correlations such as nearest neighbor and next nearest neighbor spin and charge correlations. for large and small . If we can extrapolate the expectation values from the data for , we can evaluate correct expectation values. Since the Monte Carlo samplings are generated with the weight , the expectation values are calculated with the sign of in the summation over the generated samples. In our calculations the negative sign problem has become less serious due to the variational treatment, although we encounter the inevitable negative sign problem in the standard projector Monte Carlo approaches . In Figure 31 the energy is shown as a function of where the SDW and normal states are chosen as the initial state . 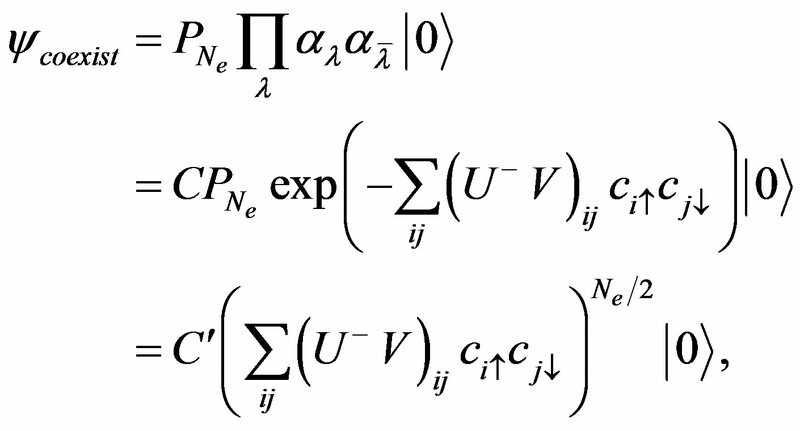 The extrapolated values for different initial states coincide with each other within Monte Carlo statistical errors. The energy expectation values as a function of for square lattice are presented in Figure 32 for , , . The extrapolated curve is shown by the solid curve and the results obtained by the quantum Monte Carlo simulation (QMC)  are also shown as a reference. A good agreement between two calculations support the method although the QMC gives slightly higher energy for . Figure 31. 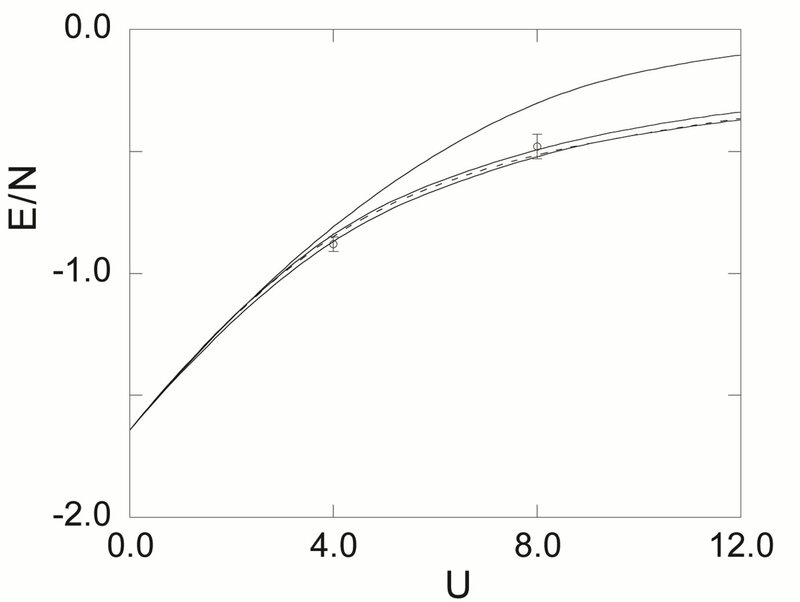 Energy as a function of for the single-band Hubbard model for and on the lattice of 4 × 4 sites. For the upper and lower curves, the initial wave function is the Fermi sea and SDW state, respectively. The diamond indicates the exact value obtained from the diagonalization . Figure 32. Energy as a function of for 8 × 8 lattice at half-filling for the single-band Hubbard model. From the top the energies for , , and extrapolated values are shown. The quantum Monte Carlo results are shown by open circles . Figure 33. 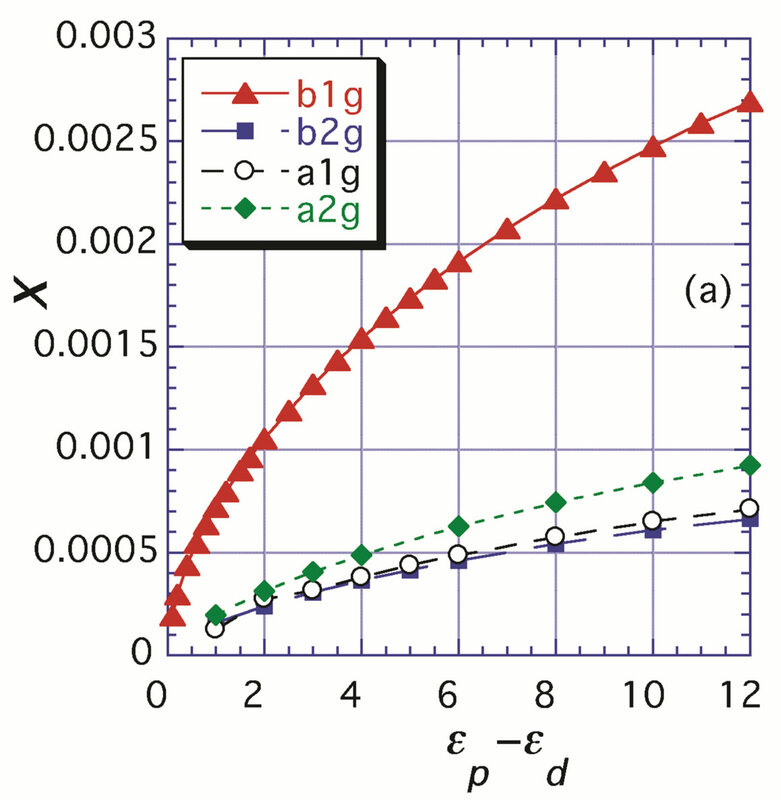 The energy versus for the single-band Hubbard model on the lattice of 10 × 10 sites. 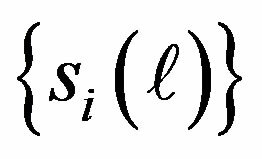 Solid and open symbols are obtained for with the normal and d-wave state initial functions and , respectively. Parameters are given by , and . correlation operators compared to that for the Gutzwiller function. The energy in the d-wave SC state is always lower than that in the normal state for each . 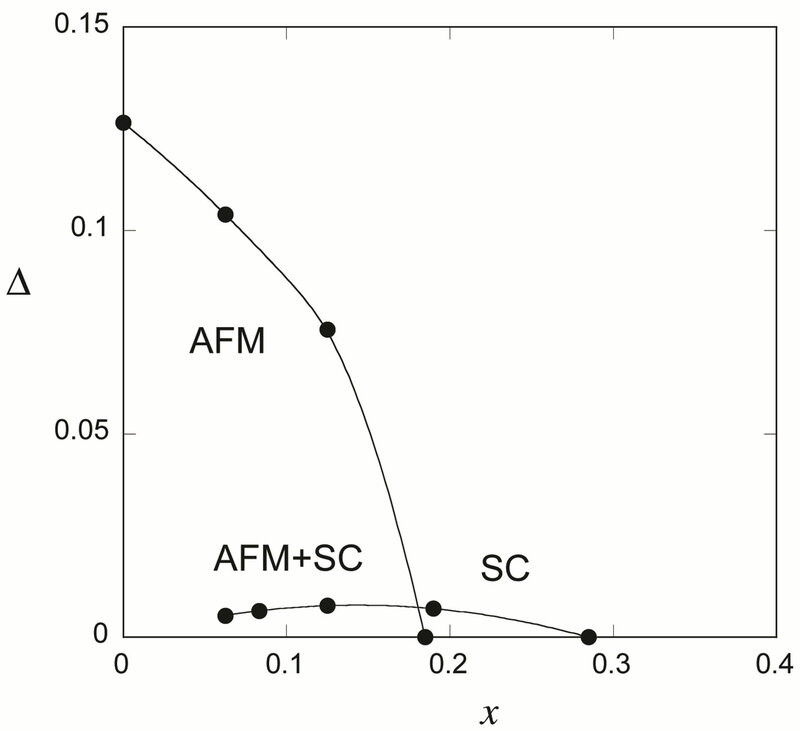 The energy gain in the SC state remains the same order after the multiplication of correlation factors. Relationships between and structural features in cuprate high-temperature superconductors are very interesting. Torrance and Metzger found the first such relationship between and the Madelung potential difference . Here is the potential difference between Cu and O sites in the CuO plane. was found to increase with decreasing . There is an interesting tendency of increasing with increasing relative ratio of hole density at oxygen site against that at copper site . Figure 34. 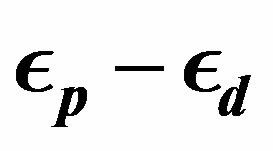 The exponent x (superconductivity strength) as a function of , where the level difference is positive. Figure 35. 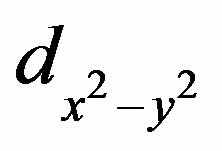 The exponent x as a function of , where the level difference is negative. where is the weight ofd electrons. This clearly indicates that increase of leads to the increase of and subsequently of . In the case of , we take account of finite Coulomb repulsion on oxygen sites. The effective interaction coming from is similarly given by the susceptibility with the weight of electrons. 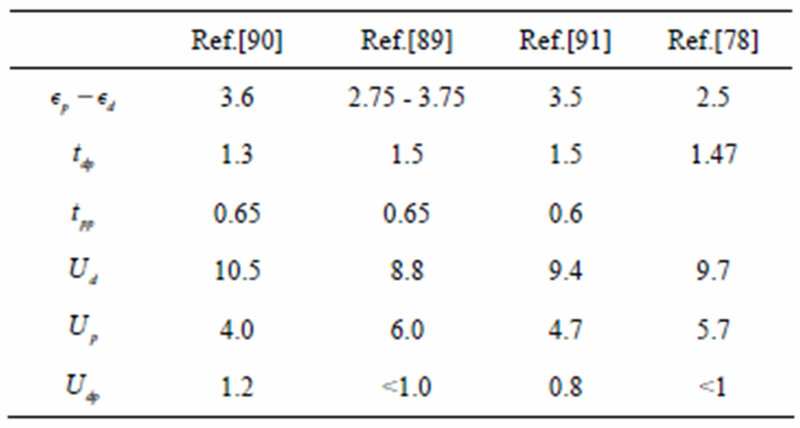 The results of with indicates that all four types of even parity ( , , and ) SC strength values increase, so that is raised, as the absolute value increases in this region. This result shows that also plays an important role as well. , where is the second electron affinity of oxygen atom and is the third electron ionicity of copper atom and is the charge of electron. Therefore, this relation is consistent with the systematics reported in . 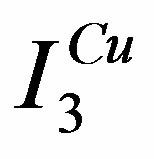 With increase of the distance of the apex oxygen away from the CuO2 plane, cuprate superconductors are known to increase . The accompanying raise of should tend to increase . 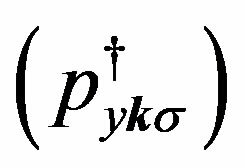 The Coulomb interaction between p electrons on oxygen atom will raise the level of p electrons effectively. This leads to the lowering of p hole level or the raise of relatively. This indicates that will be increased by the Coulomb interaction between p electrons. where is the creation (annihilation) operator of an electron with spin at the -th site and . is the transfer energy between the sites and . for the nearest-neighbor bonds. For all other cases . is the on-site Coulomb energy. The number of sites is and the linear dimension of the system is denoted as . The energy unit is given by and the number of electrons is denoted as . where is the number of samples. The sign problem is an issue if the summation of vanishes within statistical errors. In this case it is indeed impossible to obtain definite expectation values. Quantum Monte Carlo diagonalization (QMD) is a method for the evaluation of without the negative sign problem . A bosonic version of this method was developed before in Ref.. The configuration space of the probability in Equation (84) is generally very strongly peaked. The sign problem lies in the distribution of in the configuration space. 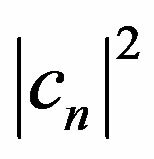 It is important to note that the distribution of the basis functions is uniform since are constant numbers: . In the subspace , selected from all configurations of auxiliary fields, the right-hand side of Equation (78) can be determined. However, the large number of basis states required to obtain accurate expectation values is beyond the current storage capacity of computers. 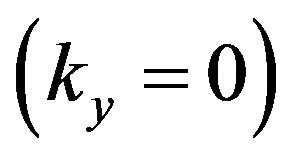 Thus we use the variational principle to obtain the expectation values. for . Since are not necessarily orthogonal, is not a diagonal matrix. We diagonalize the Hamiltonian , and then calculate the expectation values of correlation functions with the ground state eigenvector. and is the expected exact value of the quantity . 1) Generate the auxiliary fields in randomly for for , and generate basis wave function . 2) Evaluate the matrices and , and diagonalize the matrix to obtain . Then calculate the expectation values and the energy variance. 3) Repeat the procedure from 1) after increasing the number of basis functions. For small systems this random method produces reliable energy results. The diagonalization plays an importance producing fast convergence. In order to lower the ground-state energy efficiently, we can employ a genetic algorithm  to generate the basis set from the initial basis set. One idea is to replace some parts of in that has the large weight to generate a new basis function . The new basis function obtained in this way is expected to also have a large weight and contribute to . The details of the method are shown in Ref.. The energy as a function of the variance is presented in Figures 36-38 for , and , respectively. To obtain these results the genetic algorithm was employed to produce the basis functions except the open symbols in Figure 4. The where in Figure 2 is the energy for the closed shell case up to 2000 basis states. The other two figures are for open shell cases, where evaluations were performed up to 3000 states. We show the results for the , and systems in Table 2.
for sites where the results for the Gutzwiller VMC and the QMD are indicated. The Gutzwiller function gives the results that increases as approaches from above the Fermi surface. This is clearly unphysical. This flaw of the Gutzwiller function near the Fermi surface is not observed for the QMD result. Table 2. Ground state energy per site from the Hubbard model. The boundary conditions are periodic in both directions. The current results are presented under the column labeled QMD. The constrained path Monte Carlo (CPMC) results are from Ref.. The column VMC is the results obtained for the optimized variational wave function except for 6 × 2 for which is employed. The QMC results are from Ref.. Exact results are obtained using diagonalization . Figure 36. Energy as a function of the variance for 4 × 4, and . The square is the exact result. 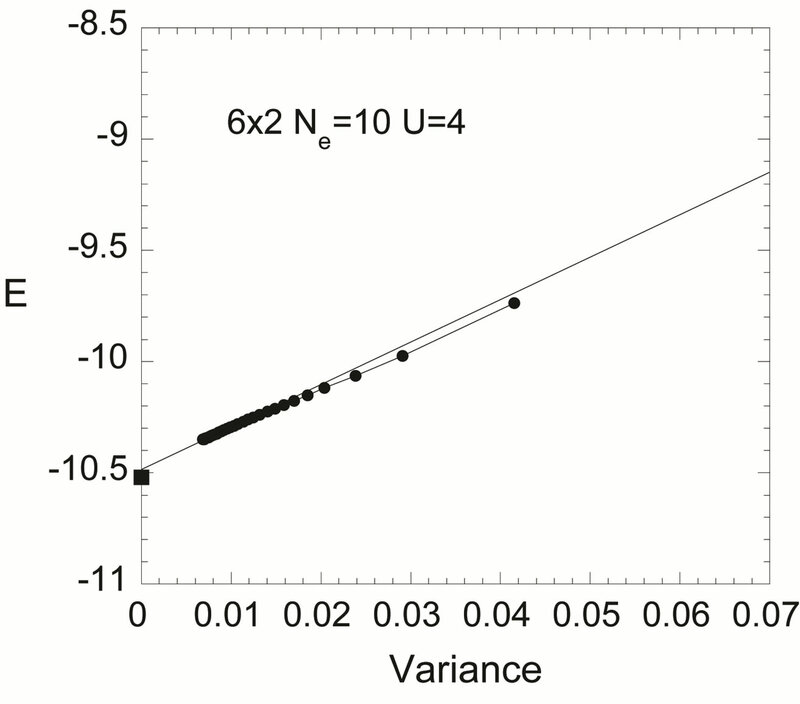 The data fit using a straight line using the least-square method as the variance is reduced. We started with (first solid circle) and then increase up to 2000. Figure 37. Energy as a function of the variance for 6 × 2 and . The square is the exact value obtained using exact diagonalization. Figure 38. Energy as a function of the variance for 6 × 6. with the periodic boundary conditions. Solid circles and crosses are data obtained from the QMD method for two different initial configurations of the auxiliary fields. Gray open circles show results obtained from the -renormalization method with 300 basis wave functions. Figure 39. Momentum distribution function for the 14 × 14 lattice. Parameters are and . The boundary conditions are periodic in both directions. 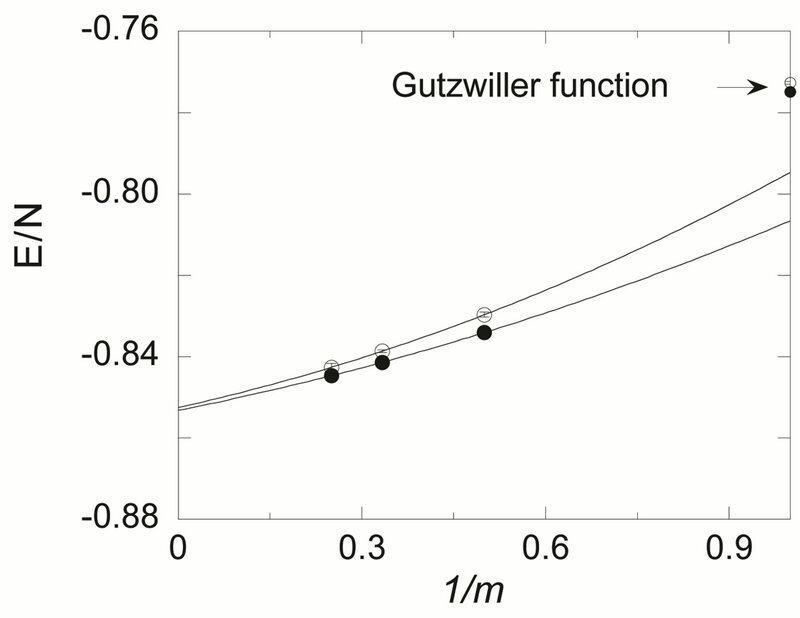 The results for the Gutzwiller function (open circle) are also provided. the 1D Hubbard model where . The singularity can be clearly identified where the dotted line is for . The spin correlation is enhanced and the charge correlation function is suppressed slightly because of the Coulomb interaction. where denotes the site . We use the convention that where and indicate the lower band and upper band, respectively. There are four singularities at , , , and for the Hubbard ladder, where and are the Fermi wave numbers of the lower and upper band, respectively. Figure 40. 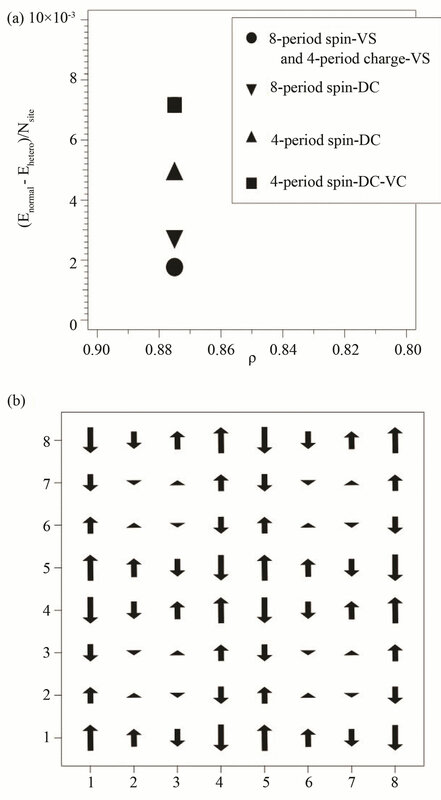 Spin (solid circle) and charge (open circle) correlation functions obtained from the QMD method for the one-dimensional Hubbard model with 80 sites. The number of electrons is 66. We set and use the periodic boundary condition. Figure 41. Spin correlation function obtained from the QMD method for the ladder Hubbard model for 60 × 2 sites with periodic boundary condition. The number of electrons is 80 and . The upper line is for the upper band and the lower line is for the lower band. Singularities are at , , and from left. The dotted lines are for . where is the ground state energy for the electrons. The charge gap in Figure 42 was estimated using the extrapolation to the infinite system from the data for the , , and systems. The data suggest the exponentially small charge gap for small or the existence of the critical value in the range of , below which the charge gap vanishes. increases rapidly as increases and approaches for large . 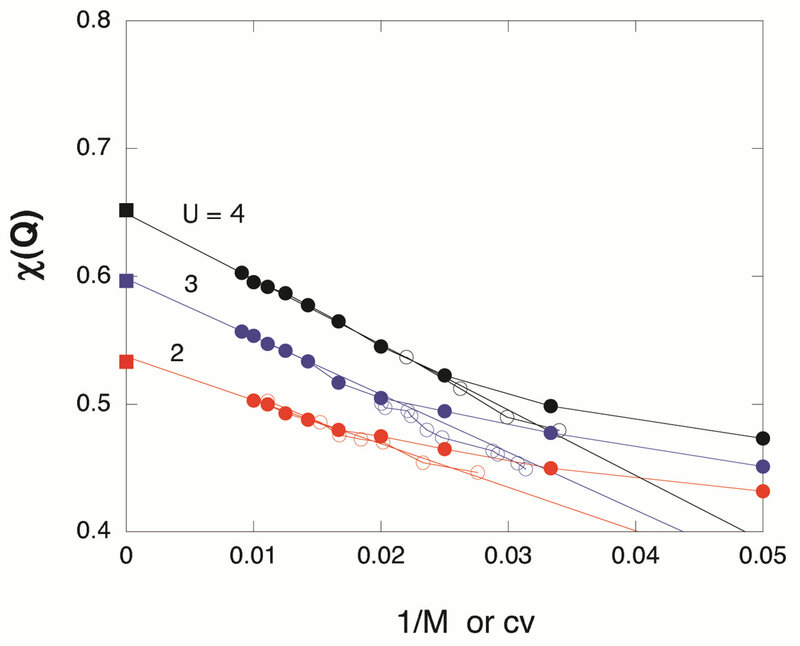 In Figure 43, the QMD results are presented for as a function of . The previous results obtained using the QMC method are plotted as open circles. The gray circles are for the -function VMC method and squares are the Gutzwiller VMC data. Clearly, the magnetization is reduced considerably because of the fluctuations, and is smaller than the Gutzwiller VMC method by about 50 percent. Figure 42. Charge gap as a function of for (circles). The DMRG results (squares) are provided for comparison . Figure 43. 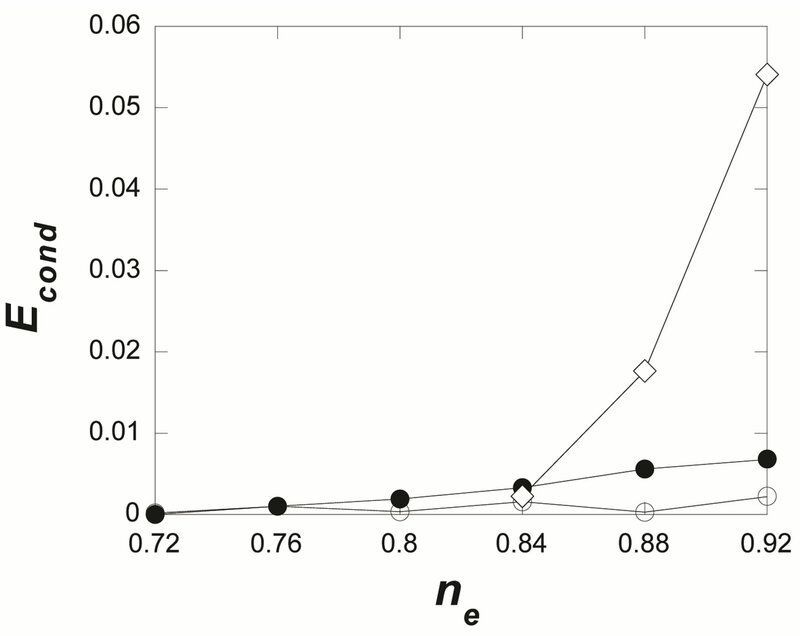 Magnetization as a function of for the halffilled Hubbard model after extrapolation at the limit of large N. Solid circles are the QMD results, and open circles are results obtained from the QMC method . 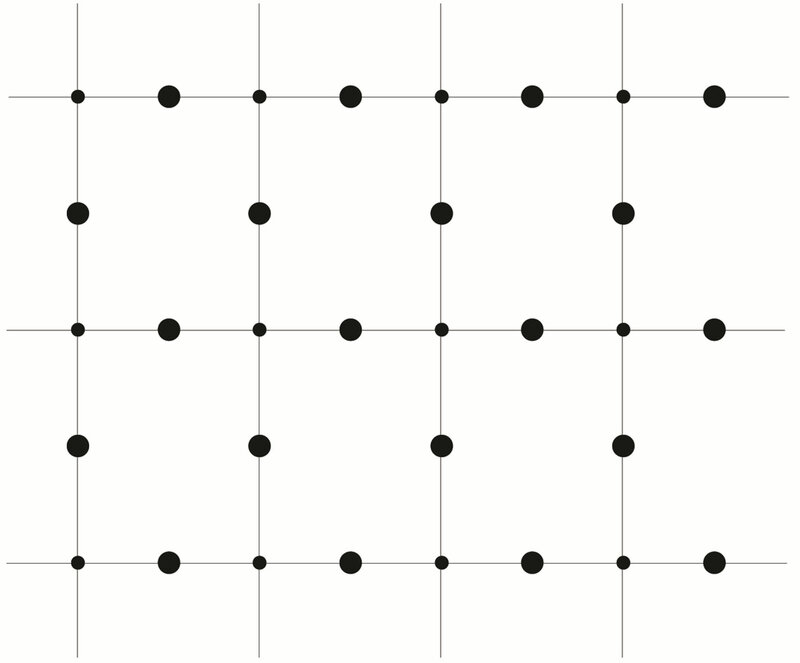 The squares are the Gutzwiller-VMC results  and gray solid circles show the 3rd -function VMC results carried out on the 8 × 8 lattice . The diamond symbol is the value from the two-dimensional Heisenberg model where [179,180]. and denote sites on the lattice. Figure 44. 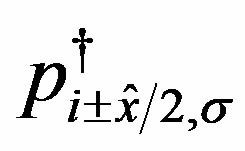 Pair correlation function and for 4 × 3, and obtained by the diagonalization quantum Monte Carlo method. The square are the exact results obtained by the exact diagonalization method. 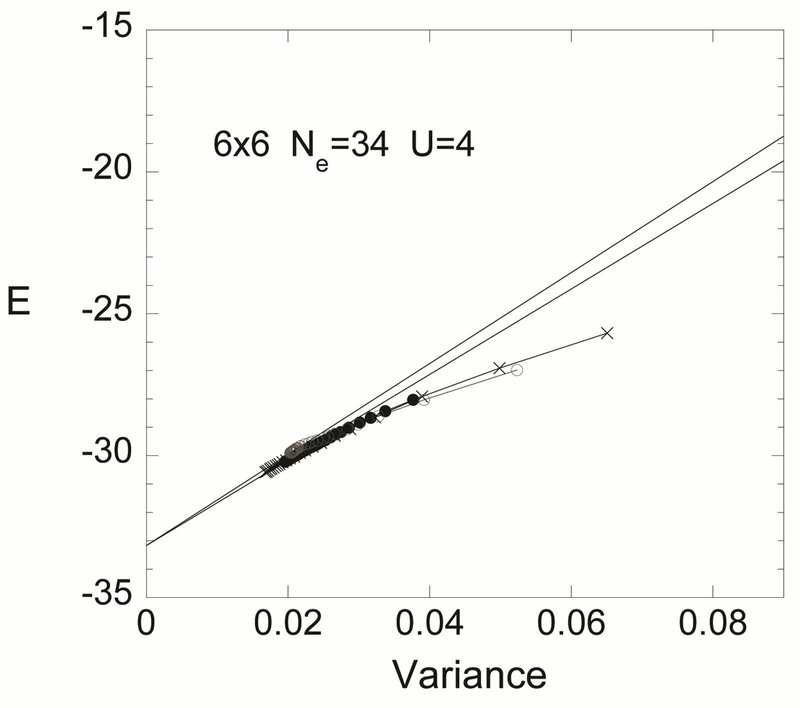 The data fit using a straight line using the least-square method as the variance is reduced. We started with (first solid circles) and then increase up to 2000. Figure 45. 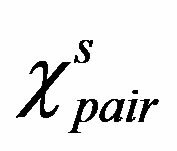 Pair correlation function and for 4 × 3, and obtained by the Metropolis quantum Monte Carlo method. The square are the exact results obtained by the exact diagonalization method. 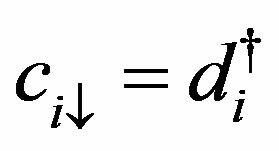 An extrapolation is performed as a function of . the and are suppressed on as is increased. 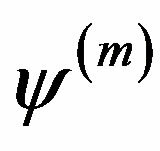 In general, the pair correlation functions are suppressed in small systems. 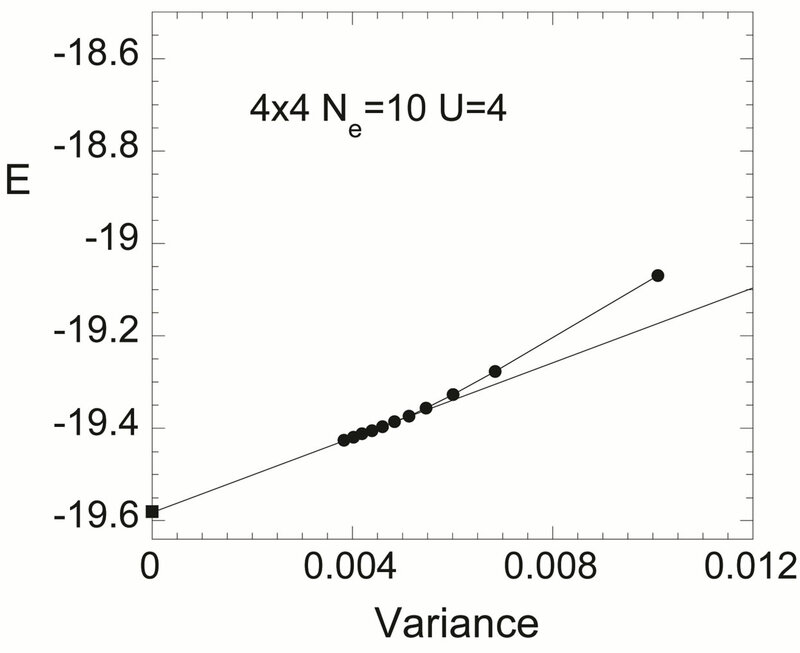 In Figures 46 and 47, we show the inter-chain pair correlation function for the ladder model . We use the open boundary condition. 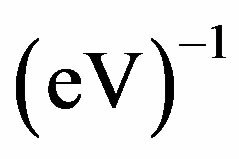 The number of electrons is , and the strength of the Coulomb interaction is . indicates the electron pair along the rung, and is the expectation value of the parallel movement of the pair along the ladder. The results obtained by two methods are in good agreement except (nearest-neighbor correlation). We first consider the half-filled case with ; in this case the antiferromagnetic correlation is dominant over the superconductive pairing correlation and thus the pairing correlation function is suppressed as the Coulomb repulsion is increased. The Figure 48 exhibits the d-wave pairing correlation function on lattice as a function of the distance. The is suppressed due to the on-site Coulomb interaction, as expected. 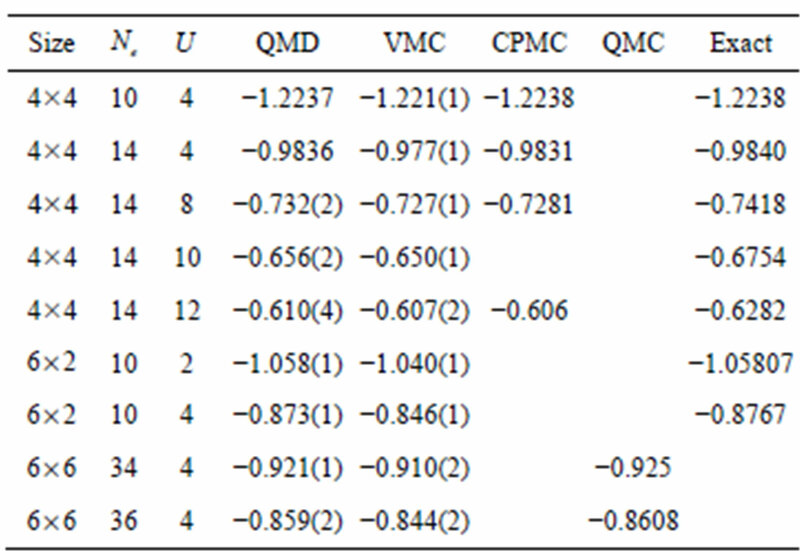 Its reduction is, however, not so considerably large compared to previous QMC studies  where the pairing correlation is almost annihilated for . We then turn to the case of less than half-filling. We show the results on with electron number . We show as a function of the distance in Figure 49 . In the scale of this figure, for is almost the same as that of the non-interacting case, and is enhanced slightly for large . Our results indicate that the pairing correlation is not suppressed and is indeed enhanced by the Coulomb interaction , and its enhancement is very small. Figure 46. Pair correlation function as a function of the energy variance for 30 × 2, and obtained by the diagonalization quantum Monte Carlo method. Figure 47. 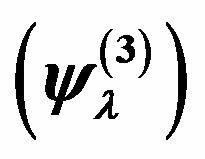 Pair correlation function as a function of for 30 × 2, and obtained by the Metropolis quantum Monte Carlo method. for as shown in Figure 51. This ratio increases as the system size is increased. To compute the enhancement, we picked the sites, for example on lattice, , (4,0), (4,1), (3,3), (4,2), (4,3), (5,0), (5,1) with and evaluate the mean value. 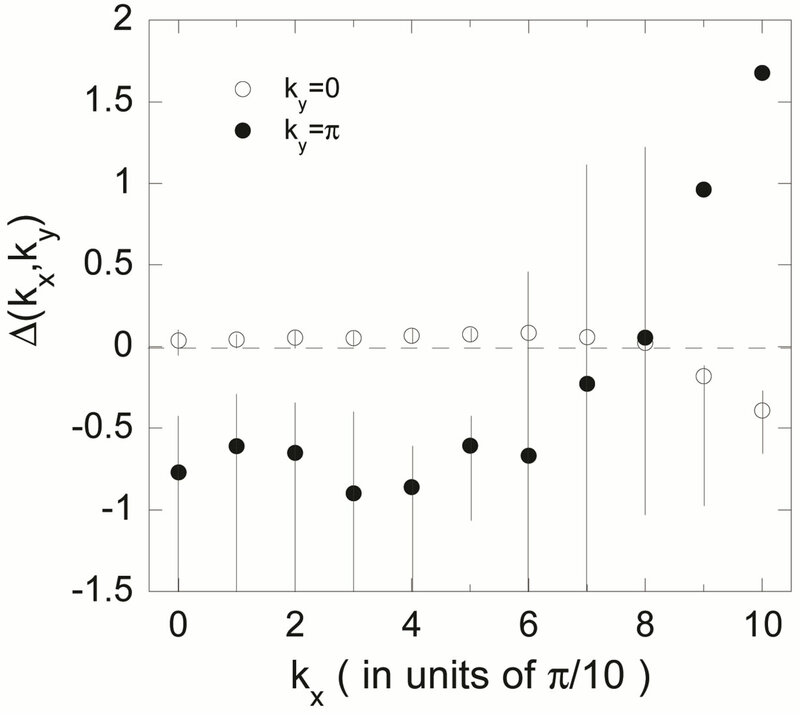 In our computations, the ratio increases almost linearly indicating a possibility of superconductivity. This indicates for . Figure 48. Pair correlation function as a function of the distance on 8 × 8 lattice for the half-filled case . We set and , 3 and 4. To lift the degeneracy of electron configurations at the Fermi energy in the half-filled case, we included a small staggered magnetization in the initial wave function . Figure 49. 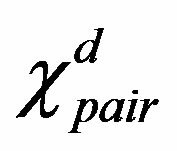 Pair correlation function as a function of the distance on 8 × 8 lattice for . We set and , 4 and 6. Figure 50. Pair correlation function as a function of the distance on 10 × 10 lattice for and . The strength of the Coulomb interaction is , 3 and 5. Figure 51. Enhancement ratio of pair correlation function as a function of the linear system size L for and . The electron density is about 0.8: for squares. The data for and are also shown by circles. lattice where the enhancement ratio . This indicates the absence of superconductivity at half-filling. 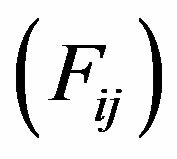 Indeed, the above formula gives the correct spin susceptibility on the finite lattice for the noninteracting case, which is given by with the Fermi distribution function . We calculate by using the quantum Monte Carlo method to obtain . We examine the results obtained for the susceptibilities. 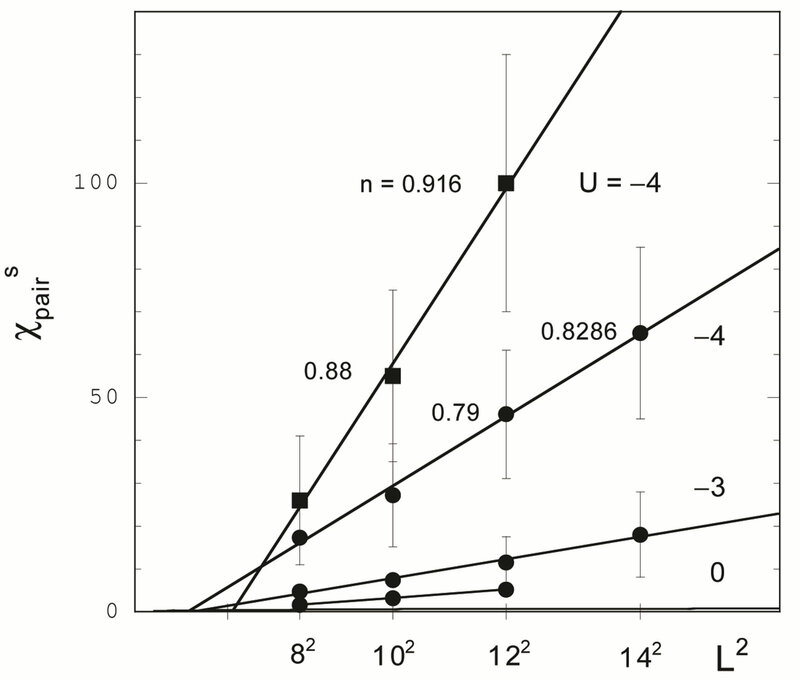 Figure 53 shows the spin susceptibility for on a lattice as a function of or the energy variance . The number of electrons is 10. The expectation values agree well with exact values given by the exact diagonalization method. Figure 52. 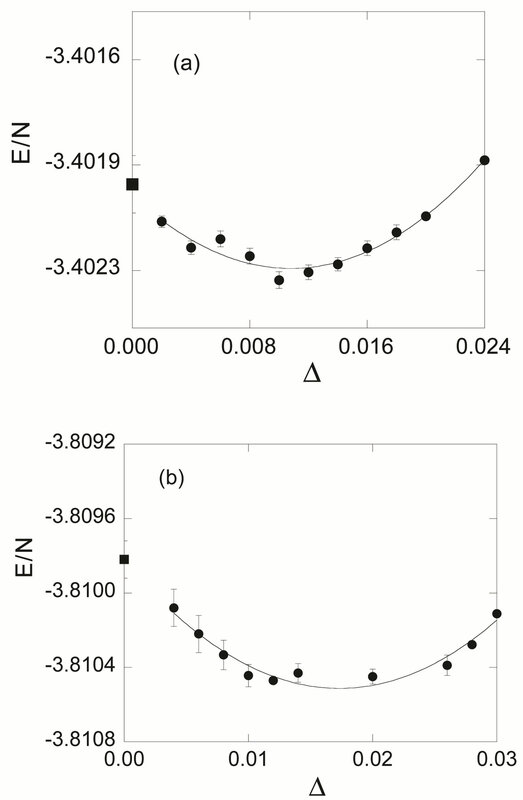 Enhancement ratio of pair correlation function as a function of the electron density . We adopt and . For the half-filled case, the diamonds show that for on 8 × 8 lattice (solid diamond) and 6 × 6 lattice (open diamond). The square is for on 8 × 8 and 10 × 10 where there is no enhancement. Figure 53. 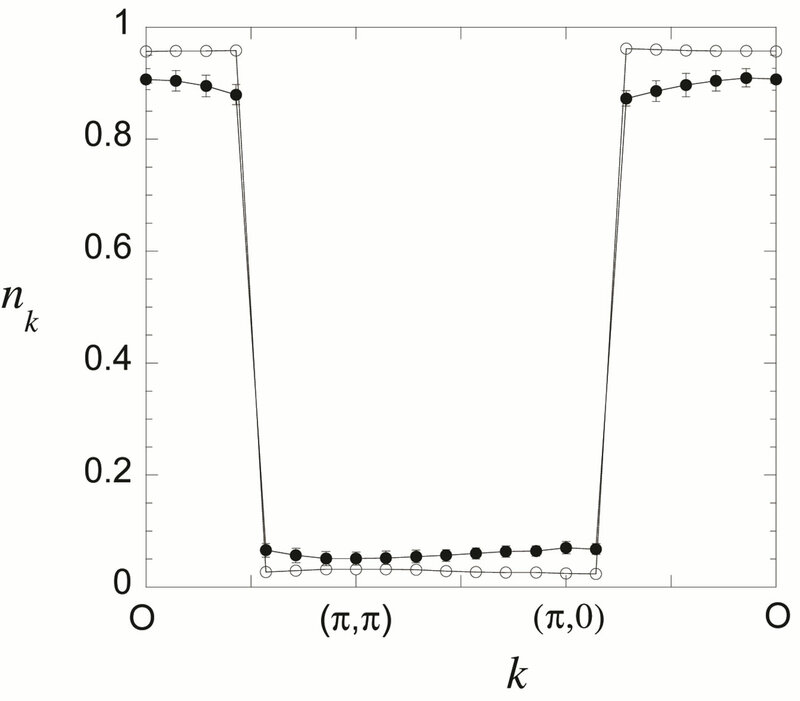 Spin susceptibility as a function of or the variance for a 6 × 2 lattice with the periodic boundary condition. The number of electrons is 10. We set . The solid circles and open circles are obtained by using the QMC method and the QMD method, respectively. The squares indicate exact values. 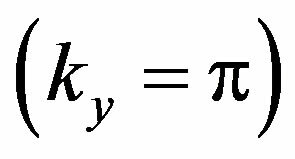 The variance is multiplied by a numerical constant. We set , 3, and 4 in units of t.
This result is consistent with the existence of the long-range spin correlation for [179,180]. The degree of divergence of is beyond the criterion of the Kosterlitz-Thouless transition, and thus the long-range order represented by belongs to a different category. 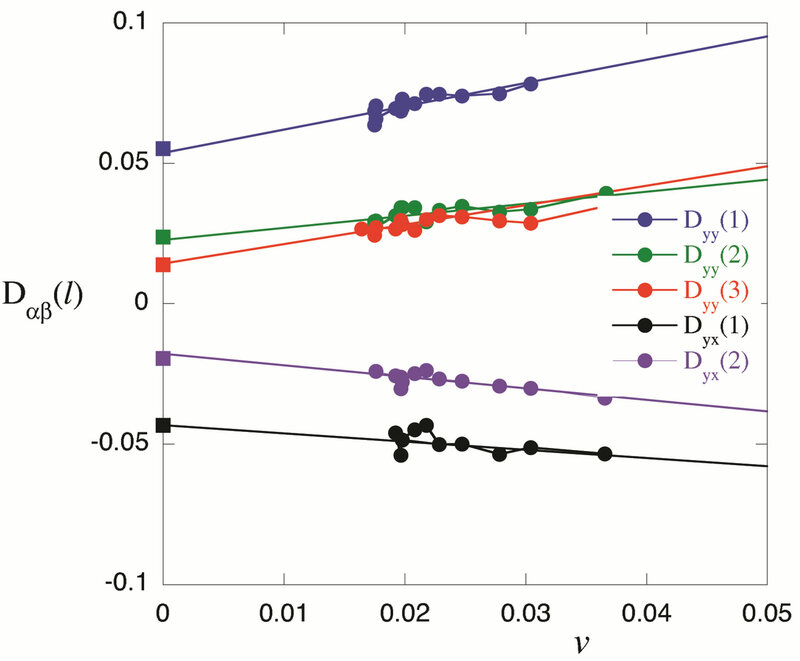 The behavior of is consistent with the predictions of perturbation theory in the 2D non-linear sigma model at low temperatures . Figure 54. 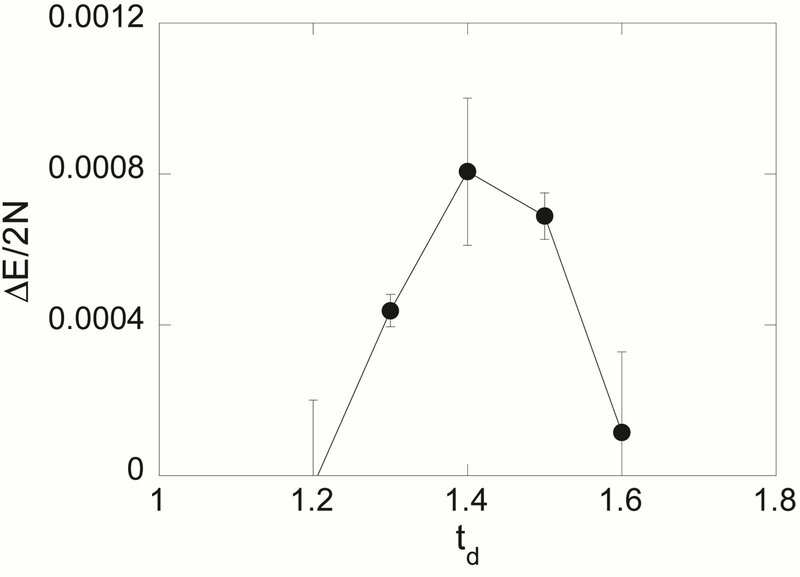 Staggered spin susceptibility as a function of at half-filling with for , 3, and 4. We use the periodic and antiperiodic boundary conditions in the x and y directions, respectively. The lowest line is for , which is fitted by a logarithmic curve. The open circles show the results for the Gutzwiller function with , which exhibits a logarithmic dependence. 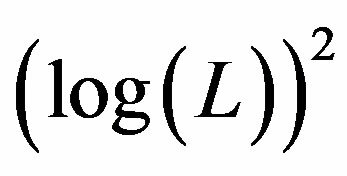 In the noninteracting system, this formula exhibits logarithmic divergence on the finite lattice : with constants and , which can be confirmed by numerical estimations on finite systems. In the Kosterlitz-Thouless theory, the susceptibility is scaled as follows [182,183]: , where is the coherence length. 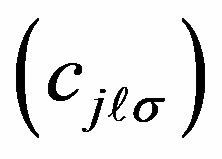 is of order on a lattice if long-range coherence exists. The exponent is expected to be 0 at absolute zero. Thus scales as in the ground state if the Kosterlitz-Thouless transition occurs at some temperature. Figure 55. 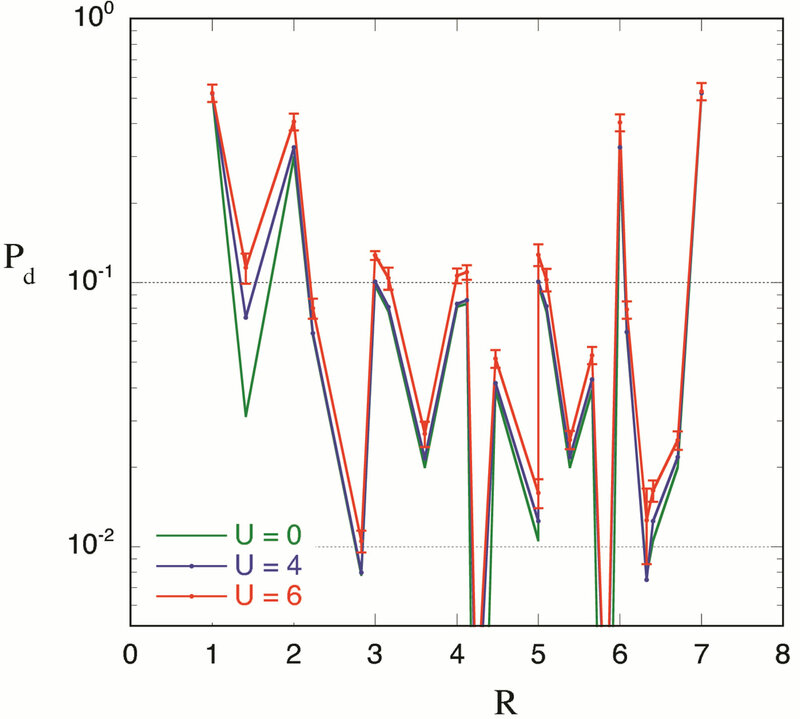 Isotropic -wave susceptibility as a function of for the negative-U Hubbard model with , -3, and -4, and . The circles indicate the results for , where we use the periodic boundary condition in both the x and y directions, and the chemical potential is set at the center of the level spacing between adjacent energy levels. The lowest dotted line is for , which is fitted by a logarithmic curve, that is, . We show for and by squares, where the boundary condition is antiperiodic in one direction and periodic in the other direction. if is moderately large. 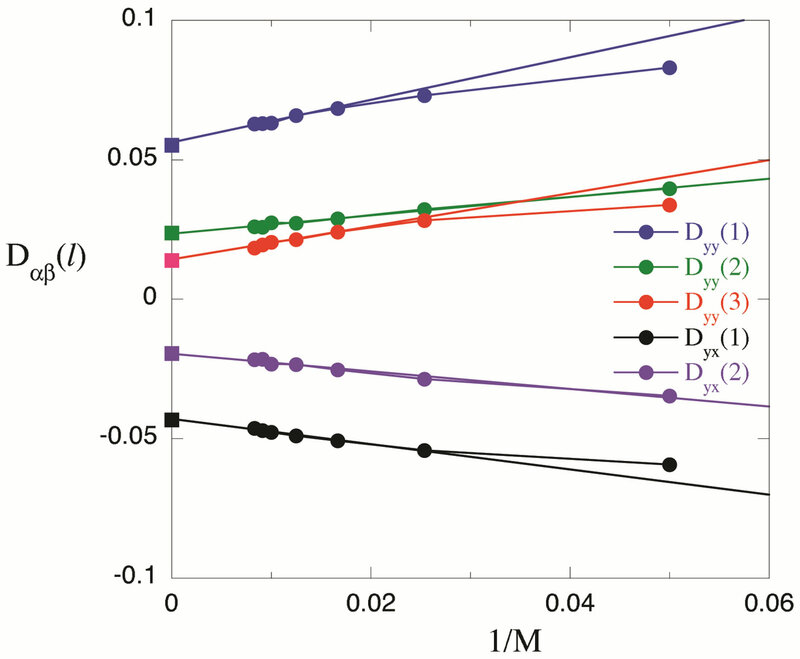 This result shows that a d-wave superconducting Kosterlitz-Thouless transition may exist for the repulsive interaction if we adjust the band parameters in the region of optimal doping. Figure 56. 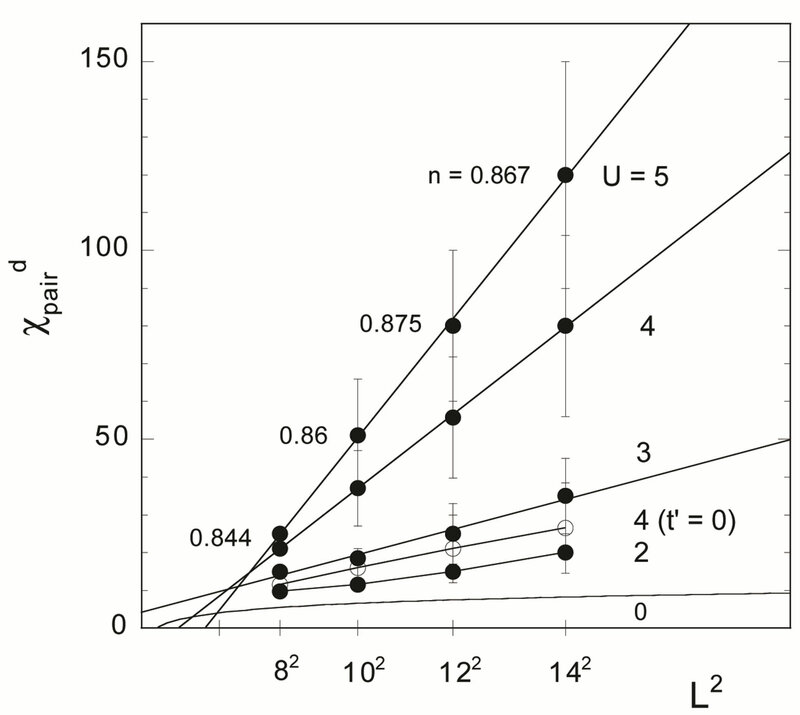 The d-wave susceptibility as a function of for the repulsive-U Hubbard model with , 3, 4, and 5. We use the periodic boundary condition in both the x and y directions. The solid circles present the results with and for , 3, 4 and 5. For the solid squares the parameters are and with . The open squares are for , (near half-filling) and . The open circles indicate the results for , and . The lowest line for is fitted by a logarithmic curve: . lower doped region. We have found that the period checkerboard spin modulation is stabilized in the two-dimensional Hubbard model with the Bi-2212 type band structure. We thank I. Hase, S. Koikegami, S. Koike and J. Kondo for stimulating discussions. This work was supported by a Grant-in Aid for Scientific Research from the Ministry of Education, Culture, Sports, Science and Technology of Japan, and CREST Program of Japan Science and Technology Agency. A part of numerical calculations was performed at the facilities in the Supercomputer Center of the Institute for Solid State Physics of the University of Tokyo. E. Dagotto, Reviews of Modern Physics, Vol. 66, 1994, pp. 763-840. P. W. Anderson, “The Theory of Superconductivity in the High-Tc Cuprates,” Princeton University Press, Princeton, 1997. K. H. Bennemann and J. B. Ketterson, “The Physics of Superconductor,” Springer, Berlin, 2003. G. R. Stewart, Reviews of Modern Physics, Vol. 56, 1984, pp. 755-787. P. A. Lee, T. M. Rice, J. W. Serene, L. J. Sham and J. W. Wilkins, Comments on Condensed Matter Physics, Vol. 12, 1986, p. 99. M. B. Maple, “Handbook on the Physics and Chemistry of Rare Earths Vol. 30,” Elsevier, Amsterdam, 2000. C. C. Tsuei, et al., Physical Review Letters, Vol. 73, 1994, pp. 593-596. D. A. Wollman, et al., Physical Review Letters, Vol. 74, 1995, pp. 797-800. C. C. Tsuei and J. R. Kirtlry, Physical Review Letters, Vol. 85, 2000, pp. 182-185. G. Shirane, Y. Endoh, R. Birgeneau, M. A. Kastner, Y. Hidaka, M. Oka, M. Suzuki and T. Murakami, Physical Review Letters, Vol. 59, 1987, p. 1613. K. B. Lyons, P. A. Fleury, L. F. Schncemmeyer and J. V. Waszczak, Physical Review Letters, Vol. 60, 1988, pp. 732-735. E. Manousakis and R. Salvadoe, Physical Review Letters, Vol. 62, 1989, pp. 1310-1313. M. Inui and S. Doniach, Physical Review B, Vol. 38, 1988, pp. 6631-6635. T. Yanagisawa, Physical Review Letters, Vol. 68, 1992, pp. 1026-1029. T. Yanagisawa and Y. Shimoi, Physical Review B, Vol. 48, 1993, pp. 6104-6110. T. Yanagisawa, S. Koike and K. Yamaji, Physical Review B, Vol. 64, 2001, p. 184509. J. Hubbard, Proceedings of the Royal Society A, Vol. 276, 1963, pp. 238-257. J. E. Hirsch, Physical Review Letters, Vol. 51, 1983, pp. 1900-1903. J. E. Hirsch, Physical Review B, Vol. 31, 1985, pp. 4403- 4419. S. R. White, D. J. Scalapino, R. L. Sugar, E. Y. Loh, J. E. Gubernatis and R. T. Scalettar, Physical Review B, Vol. 40, 1989, pp. 506-516. S. Sorella, S. Baroni, R. Car and M. Parrinello, Europhysics Letters, Vol. 8, 1989, pp. 663-668. E. Y. Loh, J. E. Gubernatis, R. T. Scalettar, S. R. White, D. J. Scalapino and R. L. Sugar, Physical Review B, Vol. 41, 1990, pp. 9301-9307. A. Moreo, D. J. Scalapino and E. Dagotto, Physical Review B, Vol. 56, 1991, pp. 11442-11444. A. Moreo, Physical Review B, Vol. 45, 1992, pp. 5059- 5601. S. Fahy and D. R. Hamann, Physical Review B, Vol. 43, 1991, pp. 765-779. S. Zhang, J. Carlson and J. E. Gubernatis, Physical Review B, Vol. 55, 1997, pp. 7464-7477. S. Zhang, J. Carlson and J. E. Gubernatis, Physical Review Letters, Vol. 78, 1997, pp. 4486-4489. T. Yanagisawa, Physical Review B, Vol. 75, 2007, p. 224503. T. Yanagisawa, New Journal of Physics, Vol. 15, 2013, Article ID: 033012. H. Yokoyama and H. Shiba, Journal of the Physical Society of Japan, Vol. 56, 1987, p. 1490. C. Gros, R. Joynt and T. M. Rice, Physical Review B, Vol. 36, 1987, pp. 381-393. 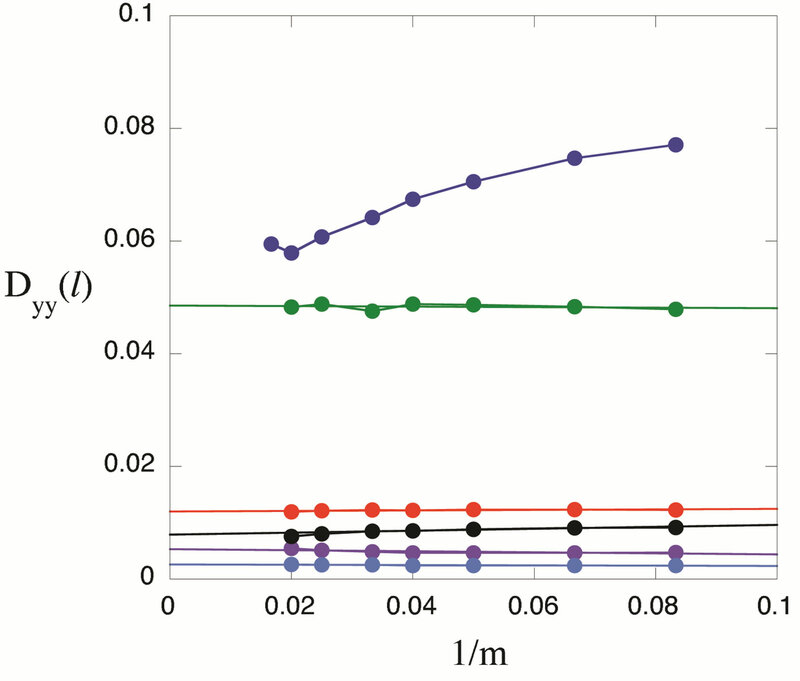 K. Yamaji, T. Yanagisawa, T. Nakanishi and S. Koike, Physica C, Vol. 304, 1998, pp. 225-238. 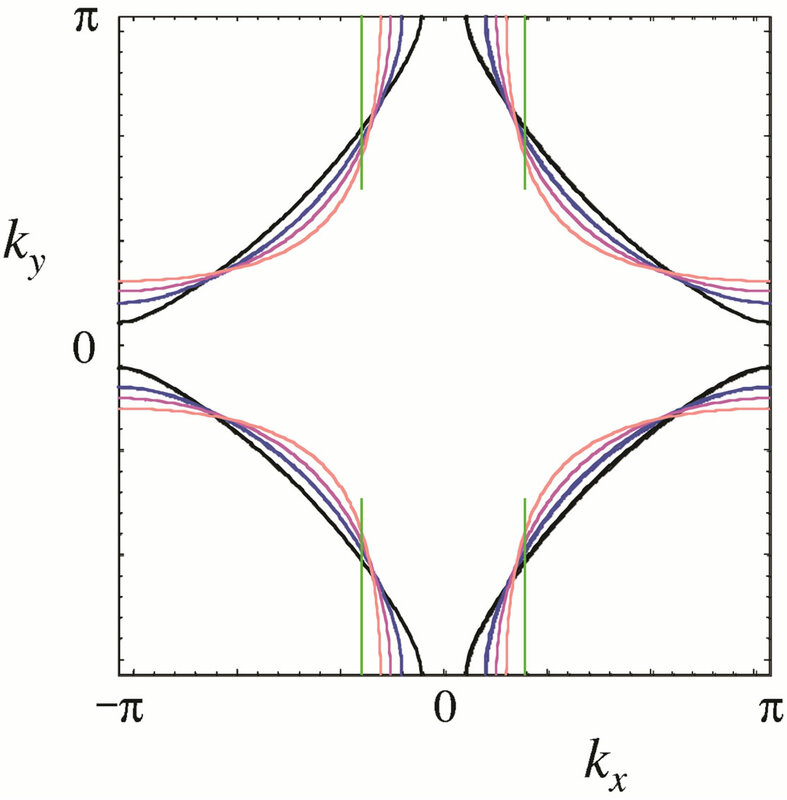 T. Yanagisawa, S. Koike and K. Yamaji, Journal of Physics: Condensed Matter, Vol. 14, 2002, pp. 21-31. T. Yanagisawa, S. Koike, S. Koikegami and K. Yamaji, Physical Review B, Vol. 67, 2003, p. 132400. K. Yamaji, Y. Shimoi and T. Yanagisawa, Physica C, Vol. 235-240, 1994, pp. 2221-2222. R. M. Noack, N. Bulut, D. J. Scalapino and M. G. Zacher, Physical Review B, Vol. 56, 1997, pp. 7162-7166. K. Kuroki, T. Kimura and H. Aoki, Physical Review B, Vol. 54, 1996, pp. R15641-R15644. S. Daul and D. J. Scalapino, Physical Review B, Vol. 62, 2000, pp. 8658-8660. R. Hlubina, Physical Review B, Vol. 59, 1999, pp. 9600- 9605. S. Koikegami and T. Yanagisawa, Journal of the Physical Society of Japan, Vol. 70, 2001, pp. 3499-3502; Vol. 71, 2002, p. 761. T. Yanagisawa, New Journal of Physics, Vol. 10, 2008, Article ID: 023014. M. C. Gutzwiller, Physical Review Letters, Vol. 10, 1963, pp. 159-162. C. N. Yang, Physical Review Letters, Vol. 19, 1967, pp. 1312-1315. E. H. Lieb and F. Y. Wu, Physical Review Letters, Vol. 20, 1968, pp. 1445-1448. H. J. Schulz, Physical Review Letters, Vol. 64, 1990, pp. 2831-2834. H. Frahm and V. E. Korepin, Physical Review B, Vol. 42, 1990, pp. 10553-10565. F. D. M. Haldane, Journal of Physics C, Vol. 14, 1981, p. 2585. V. J. Emery, Physical Review Letters, Vol. 58, 1987, pp. 2794-2797. L. H. Tjeng, H. Eskes and G. A. Sawatzky, “Strong Correlation and Superconductivity,” Springer, Berlin Heidelberg, 1989. W. H. Stephan, W. Linden and P. Horsch, Physical Review B, Vol. 39, 1989, pp. 2924-2927. J. E. Hirsch, E. Y. Loh, D. J. Scalapino and S. Tang, Physical Review B, Vol. 39, 1989, pp. 243-253. R. T. Scalettar, D. J. Scalapino, R. L. Sugar and S.R. White, Physical Review B, Vol. 44, 1991, pp. 770-781. G. Dopf, A. Muramatsu and W. Hanke, Physical Review B, Vol. 41, 1990, pp. 9264-9275. G. Dopf, A. Muramatsu and W. Hanke, Physical Review Letters, Vol. 68, 1992, pp. 353-356. K. Kuroki and H. Aoki, Physical Review Letters, Vol. 76, 1996, pp. 4400-4403. M. Guerrero, J. E. Gubernatis and S. Zhang, Physical Review B, Vol. 57, 1998, pp. 11980-11988. M. S. Hybertsen, E. B. Stechel, M. Schlüter and D. R. Jennison, Physical Review B, Vol. 41, 1990, pp. 11068- 11072. A. K. McMahan, J. F. Annett and R. M. Martin, Physical Review B, Vol. 42, 1990, pp. 6268-6282. D. Ceperley, G. V. Chester and K. H. Kalos, Physical Review B, Vol. 16, 1977, pp. 3081-3099. C. J. Umrigar, K. G. Wilson and J. W. Wilkins, Physical Review Letters, Vol. 60, 1988, pp. 1719-1722. R. Blankenbecler, D. J. Scalapino and R. L. Sugar, Physical Review D, Vol. 24, 1981, pp. 2278-2286. T. Yanagisawa, S. Koike and K. Yamaji, Journal of the Physical Society of Japan, Vol. 68, 1999, pp. 3608-3614. K. Yamaji, T. Yanagisawa and S. Koike, Physica B, Vol. 284-288, 2000, p. 415. L. F. Feiner, J. H. Jefferson and R. Raimondi, Physical Review B, Vol. 53, 1996, pp. 8751-8773. J. W. Loram, K. A. Mirza, J. R. Cooper and W. Y. Liang, Physical Review Letters, Vol. 71, 1993, pp. 1740-1750. Z. Hao, J. R. Clem, M. W. McElfresh, L. Civale, A. P. Malozemoff and F. Holtzberg, Physical Review B, Vol. 43, 1991, pp. 2844-2852. T. Tohyama and S. Maekawa, Superconductor Science and Technology, Vol. 13, 2000, p. 17. N. E. Hussey, et al., Nature, Vol. 425, 2003, pp. 814-817. M. Plate, et al., Physical Review Letters, Vol. 95, 2005, Article ID: 07001. W. S. Lee, et al., 2006, arXiv: cond-mat/0600347. M. Fabrizio, A. Parola and T. Tosatti, Physical Review B, Vol. 46, 1992, pp. 3159-3162. M. Fabrizio, Physical Review B, Vol. 48, 1993, pp. 15838-15860. T. Yanagisawa, Y. Shimoi and K. Yamaji, Physical Review B, Vol. 52, 1995, pp. 3860-3863. L. Balents and M. P. A. Fisher, Physical Review B, Vol. 53, 1996, pp. 12133-12141. J. Tranquada, J. D. Axe, N. Ichikawa, Y. Nakamura, S. Uchida and B. Nachumi, Physical Review B, Vol. 54, 1996, pp. 7489-7499. T. Suzuki, T. Goto, K. Chiba, T. Fukase, H. Kimura, K. Yamada, M. Ohashi and Y. Yamaguchi, Physical Review B, Vol. 57, 1998, pp. R3229-R3232. K. Yamada, C. H. Lee, K. Kurahashi, J. Wada, S. Wakimoto, S. Ueki, H. Kimura and Y. Endoh, Physical Review B, Vol. 57, 1998, pp. 6165-6172. M. Arai, T. Nishijima, Y. Endoh, T. Egami, S. Tajima, K. Tomimoto, Y. Shiohara, M. Takahashi, A. Garrett and S. M. Bennington, Physical Review Letters, Vol. 83, 1999, pp. 608-611. H. A. Mook, D. Pengcheng, F. Dogan and R. D. Hunt, Nature, Vol. 404, 2000, pp. 729-731. S. Wakimoto, R. J. Birgeneau, M. A. Kastner, Y. S. Lee, R. Erwin, P. M. Gehring, S. H. Lee, M. Fujita, K. Yamada, Y. Endoh, K. Hirota and G. Shirane, Physical Review B, Vol. 61, 2000, pp. 3699-3706. C. Niedermayer, C. Bernhard, T. Blasius, A. Golnik, A. Moodenbauch and J. I. Budnick, Physical Review Letters, Vol. 80, 1998, pp. 3843-3846. H. Kimura et al., Physical Review, Vol. 59, 1999, pp. 6517-6523. M. Matsuda, M. Fujita, K. Yamada, R. J. Birgeneau, M. A. Kastner, H. Hirai, Y. Endoh, S. Wakimoto and G. Shirane, Physical Review B, Vol. 62, 2000, pp. 9148- 9154. M. Fujita, K. Yamada, H. Hiraka, P. M. Gehring, S. H. Leem S. Wakimoto and G. Shigane, Physical Review B, Vol. 65, 2002, Article ID: 064505. T. Giamarchi and C. Lhuillier, Physical Review B, Vol. 43, 1991, pp. 12943-12951. D. Poilblanc and T. M. Rice, Physical Review B, Vol. 39, 1989, pp. 9749-9752. H. Schulz, Physical Review Letters, Vol. 64, 1990, pp. 1445-1448. J. Zaanen and A. M. Oles, Annalen der Physik, Vol. 508, 1996, pp. 224-246. S. White and D. J. Scalapino, Physical Review Letters, Vol. 80, 1998, pp. 1272-1275. S. White and D. J. Scalapino, Physical Review Letters, Vol. 81, 1998, pp. 3227-3230. C. S. Hellberg and E. Manousakis, Physical Review Letters, Vol. 83, 1999, p. 132. K. Kobayashi and H. Yokoyama, Physica B, Vol. 259- 261, 1999, pp. 506-508. A. Himeda, T. Kato and M. Ogata, Physical Review Letters, Vol. 88, 2002, Article ID: 117001. W. Loram, K. A. Mirza, J. R. Cooper, N. Athanassopoulou and W. Liang, “Proceedings of the 10th Anniversary HTS Workshop,” World Scientific, Singapore, 1996. H. Mukuda, et al., Physical Review Letters, Vol. 96, 2006, Article ID: 087001. W. D. Wise, et al., Nature Physics, Vol. 4, 2008, pp. 696-699. T. Hanaguri, et al., Nature, Vol. 430, 2004, pp. 1001- 1005. S. R. White and D. J. Scalapino, Physical Review B, Vol. 70, 2004, p. 220506. G. Seibold, J. Lorenzana and M. Grilli, Physical Review B, Vol. 75, 2007, p. 100505. R. Jastrow, Physical Review, Vol. 55, 1955, pp. 1479- 1484. J. B. Torrance and R. M. Metzger, Physical Review Letters, Vol. 63, 1989, pp. 1515-1518. D. J. Scalapino, E. Loh and J. E. Hirsch, Physical Review B, Vol. 34, 1986, pp. 8190-8192. P. Monthoux, A. V. Balatsky and D. Pines, Physical Review Letters, Vol. 67, 1991, pp. 3448-3451. N. E. Bickers, D. J. Scalapino and S. R. White, Physical Review Letters, Vol. 62, 1989, pp. 961-964. C.-H. Pao and N. E. Bickers, Physical Review B, Vol. 49, 1994, pp. 1586-1599. P. Monthoux and D. J. Scalapino, Physical Review Letters, Vol. 72, 1994, pp. 1874-1877. K. Miyake, S. Schmidt-Rink and C. M. Varma, Physical Review B, Vol. 34, 1986, pp. 6554-6556. S. Koikegami, Y. Yoshida and T. Yanagisawa, Physical Review B, Vol. 67, 2003, p. 134517. K. Yamaji and T. Yanagisawa, Physica C, 2013. 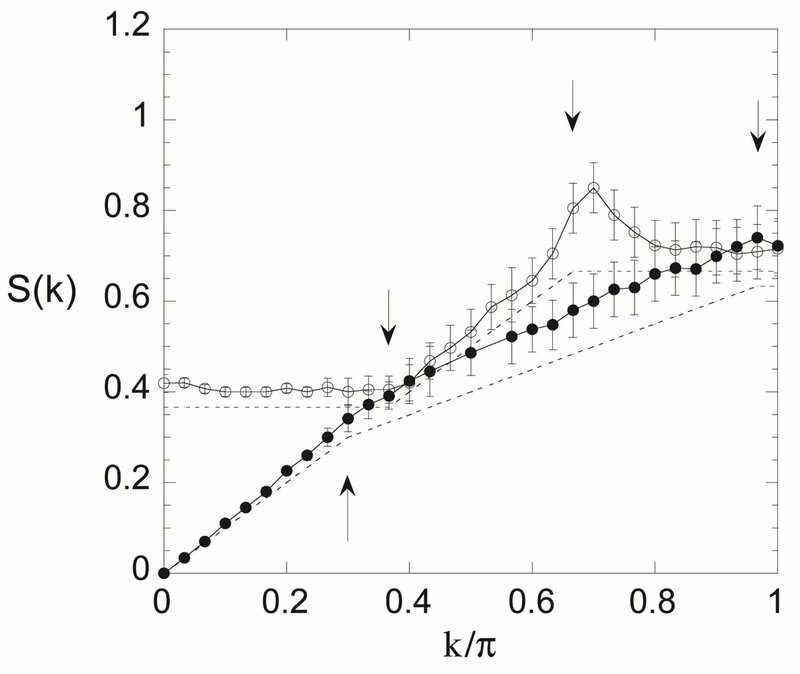 S. Koike, et al., Physica C, Vol. 388-389, 2003, pp. 65- 67. E. Pavarini, et al., Physical Review Letters, Vol. 87, 2001, Article ID: 047003. T. Mizusaki, M. Honma and T. Otsuka, Physical Review C, Vol. 53, 1986, p. 2786. S. Sorella, Physical Review B, Vol. 64, 2001, Article ID: 024512. D. E. Goldberg, “Genetic Algorithms in Search, Optimization and Machine Learning,” Addison-Wesley, Boston, 1989. 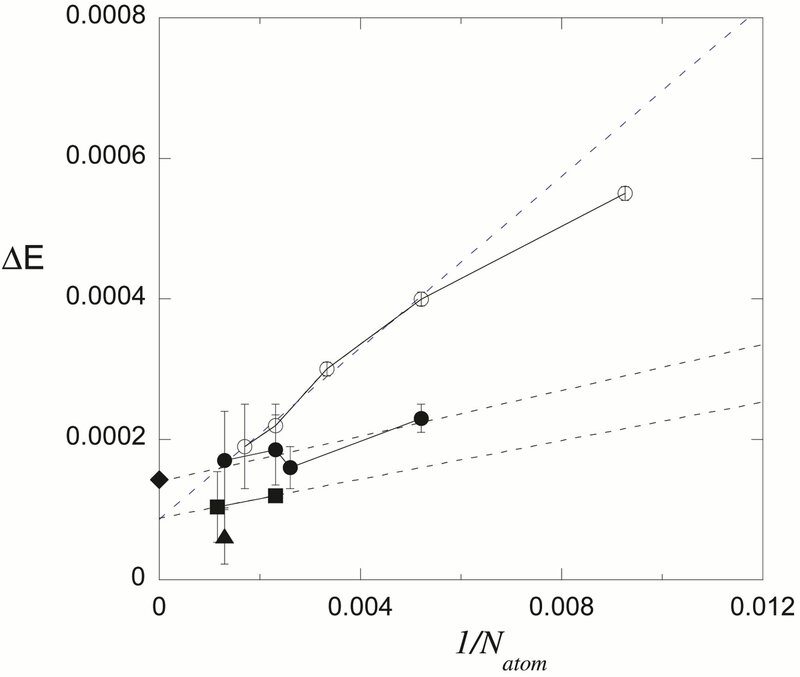 A. Parola, S. Sorella, S. Baroni, R. Car, M. Parrinello and E. Tosatti, Physica C, Vol. 162-164, 1989, pp. 771-772. J. A. Riera and A. P. Young, Physical Review B, Vol. 39, 1989, pp. 9697-9700. M. C. Buonaura and S. Sorella, Physical Review B, Vol. 57, 1998, pp. 11446-11456. J. M. Kosterlitz and D. J. Thouless, Journal of Physics C, Vol. 6, 1973, pp. 1181-1203. S. Chandrasekharan and J. C. Osborn, Physical Review B, Vol. 66, 2002, Article ID: 045113.